Today marks the beginning of a very exciting release here at Papertrey Ink and I have some amazing products to introduce to you over the course of the next few days! I thought we would start off with a traditional icon on winter, the snowman. First, a little clip from one of our family favorites to watch during the winter months… The Snowman. This particular scene always brings me so much joy and I thought it would be a great way to start off today's post! 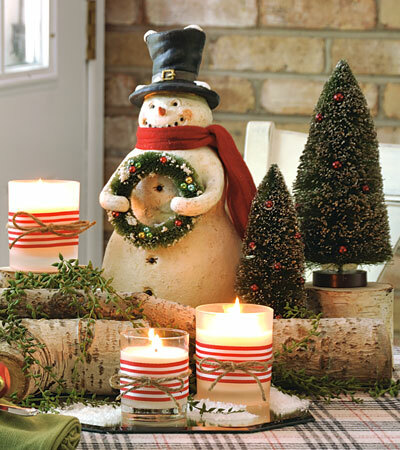 Traditional white snowmen open up so many doors for clever color combinations and accessories. But shaking things up a bit with patterned snowmen can be fun as well. We are continuing the Shape Up series of dies this month with a new seasonal shape that opens up dozens of creative possibilities! This super-sized snowman measures 5-inches tall, allowing you room to create an A2 card once a hat is added on top of his head. I designed a coordinating stamp set that will allow you to add faces to the snowman, patterns & stripes to his mittens as well as other accessorizing. As for scarves, imagine strips of felt, ribbon or fabric tied around his neck. Children & adults alike will have SO much fun creating with these! Shape Up Snowman Accessories stamp set will be available for sale on October 15th. A coordinating set of dies will be available for sale separately for $15. 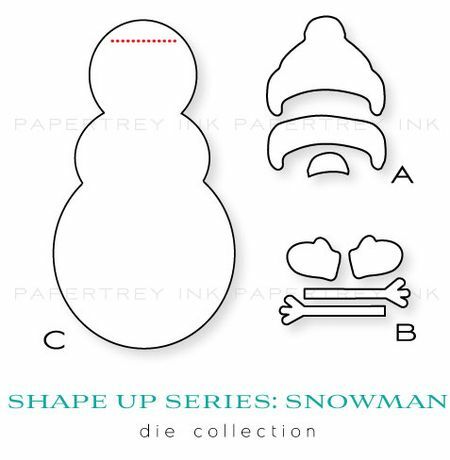 The Shape Up Series: Snowman die collection includes three dies. Hat (A) 1-3/4" x 2-3/8" (finished hat measuring 1-1/4" x 1-5/8"), Mittens & Arms (B) 2" x 1-1/4" (arms each measuring 1-1/2" x 3/8" and mittens 3/4" x 1/2" each), Snowman (C) 2-3/4" x 5". We have received many customer requests over the last year for bigger version of some of their favorite Tiny Treats images. This month we have begun a new series to just this, entitled Tremendous Treats. To kick things off, we have begun with Tiny Treats: Christmas. We have super-sized many of your most well-loved images from the original set along with a few basic sentiments. Not only has the size been multiplied, but the amount of uses & applications has as well! Tremendous Treats: Christmas will be available for sale on October 15th. Each of the original Tiny Treats: Christmas images was enlarged by approximately 200% for this new version. Each of the images measure between 1-1/2" to 2". Our Mat Stack dies are among our most popular products and this month we are continuing our new series geared towards them. 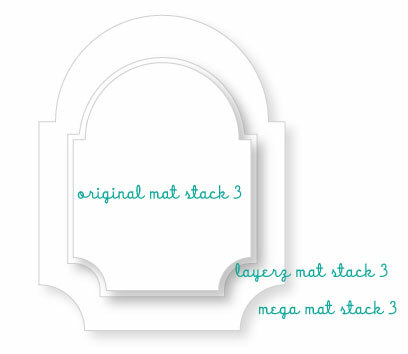 Each month we will be introducing both a "Layerz" and "Mega" versions of the Mat Stacks. The "Layerz" version is approximately 1/8" of an inch larger all the way around, making it the perfect scale to mat the existing Mat Stack 3 shape. The "Mega" version is blown-up to be A2 card cover size and not necessarily used as a mat for anything. Just a fun super-sized way to jazz up your projects. Both the Layerz & Mega Mat Stack 3 dies will be available for sale on October 15th. 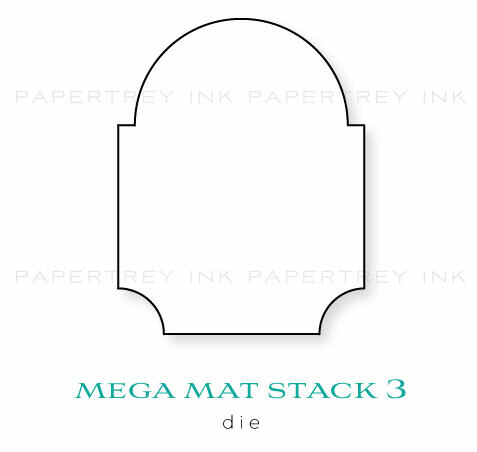 The Layerz Mega Mat Stack 3 die will retail for $6. The Mega Mat Stack 3 die will retail for $12. The Layerz Mega Mat Stack 3 die measures 2-5/8" x 3-1/4". The Mega Mat Stack 3 die measures 3-1/2" x 4-1/2". My first project uses the Shape Up Series: Snowman dies paired with the coordinating Shape Up Snowman Accessories stamp set to create a shaped card. To create the shaped card, you just place the fold of your card along the dotted line on the die and cut. I cut this card from Kraft cardstock and stamped the cover with Background Basics: Text Style II using Fresh Snow ink. I stamped the face with True Black ink and die-cut the hat from Melon Berry cardstock, stamping it with the coordinating image in Fresh Snow. I added a bit of a blush to the snowman's cheeks with Melon Berry ink. I wrapped a length of Aqua Mist Twill ribbon around his neck to function as a scarf. I accented the knot of the scarf with a Holly Jolly die, cut from Ripe Avocado cardstock and added a few rhinestones for the berries. For the banner, I used some homemade washi tape (in case you missed it, you can see a video on how to make it HERE) made from 1/2" Scor-tape and stamped with Background Basics: Text Style II in Aqua Mist. I added the snowflakes to the banner strips with Melon Berry ink and used Simple Alphabet to spell out the word "Peace". Since I used washi tape for this, I was able to just fold the strips around the string with no mess adhering. I topped the hat with a pompom and finished the lower body with three Melon Berry buttons. Now for something festive featuring one of the most beloved images from the original Tiny Treats: Christmas set, dear old Santa. 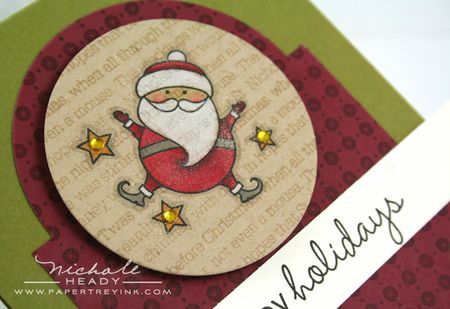 The new mega-sized version in Tremendous Treats: Christmas coordinates well with the Limitless Layers 2.5" Circle die. I die-cut the circle from Kraft cardstock and stamped Santa with Black Noir ink. I then colored him in with Copics & a white colored pencil. I also added a bit of sparkle with a Gelly Roll pen. To finish the focal point off, I stamped Background Basics: Christmas over the image using VersaMark ink. I added rhinestones to the stars for some extra shine. The new Mega Mat Stack 3 die coordinates well with the Limitless Layers 2.5" Circle dies as well. Here, I cut it from Scarlet Jewel cardstock and stamped it with Background Basics: Twinkle using VersaMark ink. The sentiment, also from Tremendous Treats: Christmas, was added to a banner created from Vintage Cream cardstock. I thought it would be fun to pair up the new Shape Up Series: Snowman dies with felt to create a homespun keepsake ornament. I die-cut two pieces of Vintage Cream felt with the snowman die. Before stitching them together, I stamped the face onto one of them and used french knots to "trace" the image. I also stitched some Simply Chartreuse buttons down his middle. I added a small piece of Terracotta Tile felt for his nose, die-cut a hat and used a strip of felt as his scarf. After stitching and stuffing the snowman, I inserted sticks for the arms. I then used a hot glue gun to adhere mittens to the front and back of the ends of each stick for a realistic look. These would be so fun to make in a variety of colors! 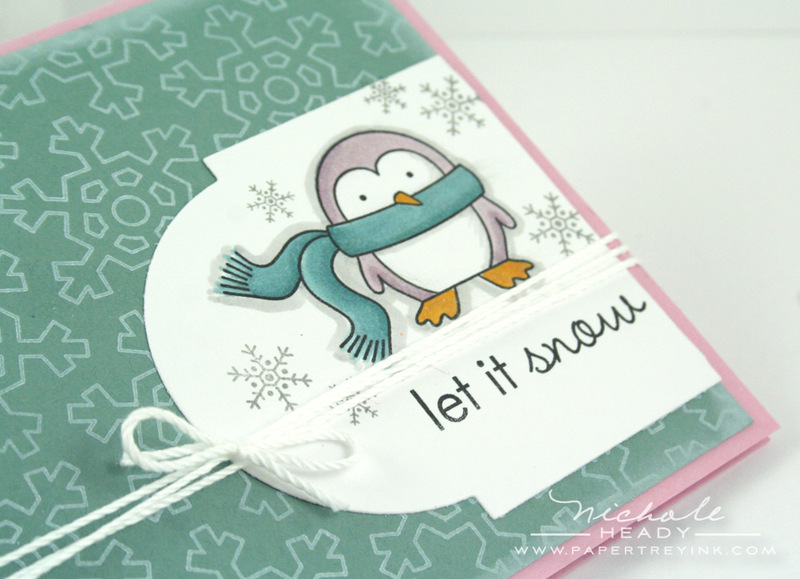 I pulled out the adorable little penguin from Tremendous Treats: Christmas for this quick little project. I thought I would use the Layerz Mat Stack 3 die in a Half & Half sort of way by trimming the bottom off. I stamped the penguin in Black Noir and colored him with Copic Markers. I added some snowflakes from Shape Up Snowman Accessories with Smokey Shadow ink around him. The background was created with the snowflake from Tremendous Treats: Christmas, using Fresh Snow ink on Ocean tides cardstock. All of these elements were adhered to a Lavender Moon card base, with a bit of floss wound around it and tied in a bow. I was just a little giddy when I paired the Shape Up Series: Snowman with the cup of cocoa from Tremendous Treats: Christmas. They are really the perfect scale to complement each other! I die-cut the snowman from Vintage Cream cardstock and stamped it with Faux Ribbon using Haystack Palette ink and Spring Moss ink. 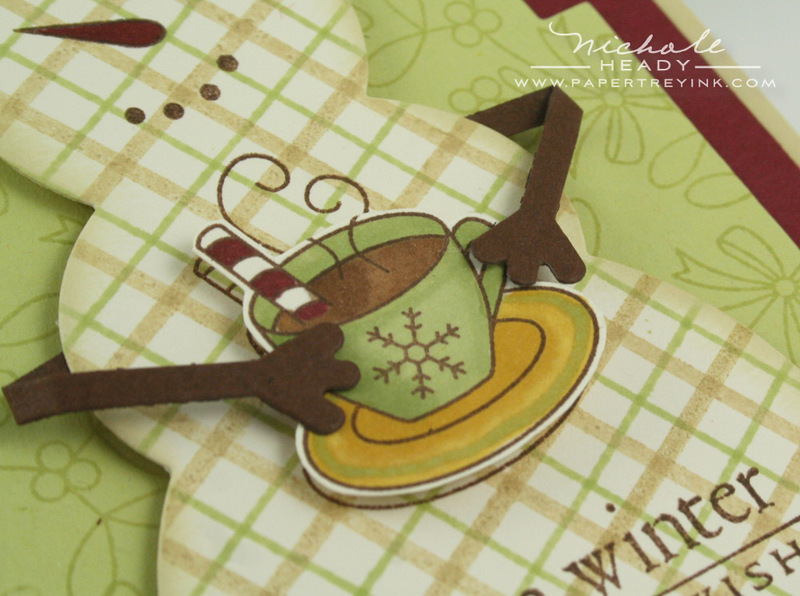 I stamped the mug onto the snowman body and then stamped it a second time onto a scrap of Vintage Cream cardstock. I colored the mug in with Copic Markers and carefully cut it out with scissors. It was adhered in place directly over where I had stamped the mug on the body previously. The arms were adhered to the back of the snowman, then folded around to the front and attached to the mug. I added this sentiment to the bottom portion of the snowman using Dark Chocolate ink. I hope you have enjoyed all of the projects I have prepared for you today! As you can see, these new goodies are incredibly versatile and can really add an element of FUN to your paper crafting! We would love to hear your initial thoughts on all that was introduced today! Is there anything in particular that has caught your eye? You could have a chance to win an amazing prize package just for taking the time to share your thoughts with us! You have until 7am, Tuesday, October 11th to leave your comment and be eligible to win. Only one comment per person please. One randomly selected winner will be announced by noon the same day on our October 2011 Release Winners page. Thank you for stopping by today and best of luck with the contest! Betsy Veldman is showcasing the Shape Up Snowman products as well as Tremendous Treats: Christmas. Maile Belles has some new dies that you won't want to miss a peek at! FINISHED SIZE: 4-1/2" x 5-1/2"
FINISHED SIZE: 4-1/4" x 5-1/4"
the snowman die is ah-mazing!! I’m imagining a whole garland of felt snowmen! gah! thank you for always blowing me away with your creativity! I just love that felt snowman. So gorgeous. And as a card, just fantastic. Now I get to love Tiny Treats in a big way! You have the best Christmas stamps and dies! I just love the Tremendous Treats (great name btw!). My son will be so excited to see them! They are going to have to come live at our house soon, so he can get started on tags for the kids in his class. Very exciting! Thank you for bringing my wish come true and bringing Tiny Treats big! Can’t wait till release night! Oh my! There are so many great, new products and samples this month, and today is only the first day of the countdown! I can’t wait to see what else you have in store! Just love Mr. Snowman! And Tremendous Treats are just icing on the cake. Thank you for such wonderful products month after month. I’m always blown away by the creativity & care PTI puts into their releases each month and this first post for October is no exception. I really love each project you’ve shown and am inspired to start on Christmas cards immediately! I’m so looking forward to these products being available in just a few more days. I’m a big fan of Tiny Treats Christmas – so glad to see some of my favorites “up-sized” – what a great idea! And speaking of great ideas – what a fantastic bunch of snowman building options – all the fun of creating a snowman without the frozen fingers – thanks PTI! I just LOVE the Tremendous Treats set! I use the Tiny Treats Christmas a lot in my card making for Christmas that I am sure to use the larger sized ones – SO many possibilities combining the 2 sizes. The snowman is so cute too & the more I drool over your projects the more I am tempted to pop him in my cart on the 15th! Thanks for all the amazing projects you have shared on day 1, I’m eager for the next 4! Oeh wow! If something caught my eye? Oh, yes! I loooove the Tremendous treats!!! I already was in love with the tiny ones, but now the big ones, gosh, they are just perfect!!! Especially with the newest mat stack sizes, true perfection!! And that snowman is such a lovely one as well, but these tremendous treats have stolen my heart!! Thank you for giving us the Tiny Treats images in a bigger size!! They are so darn cute, and now they are even more versatile. That will absolutely be the first set in my cart on Release Night!!! I think my reaction to this post is summed up with: I need it all. 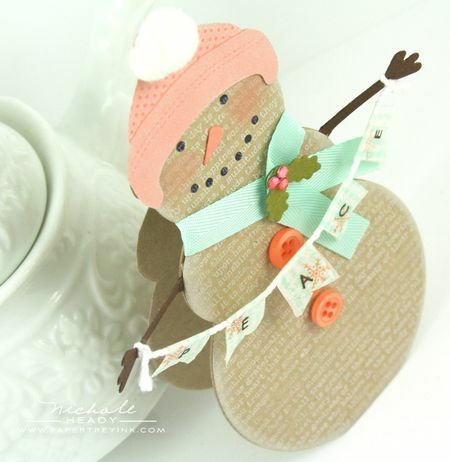 I love the snowman die (great idea using the washi tape for the banners). I also am grateful that the Tiny Treat images are larger. Thank you for sharing such beautiful samples; I am going to have a large shopping list this time! OMG!!! Love the large snowman die, but the enlarged tiny treats Christmas set is just divine!!! So love the little penguin!!! Must have! 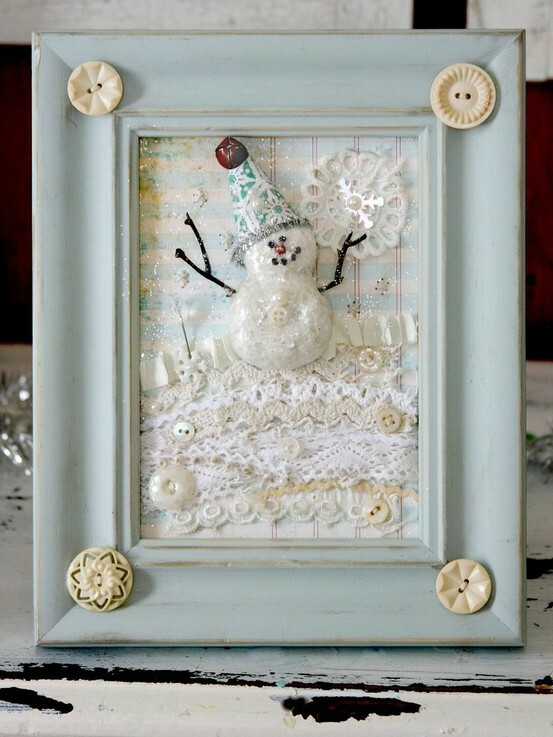 OMG, all these gorgeous projects with adorable snowmen have me smiling like a fiend over here! Love all these cuties!!! What great inspiration, Nichole! Cannot wait for the larger Christmas Treat set. And that snowman…unbelievable. And who says Christmas does not come early?! I have to say that the shape-up snowman set has really caught my eye. What an amazing set that has endless possibilities. OH MY GOODNESS that little snowman is ADORABLE. I hope he does not need Christmas Snow to come alive here in NC because he is coming to live with me!!! Love the tremendous treats ~~ SO SO CUTE!!! Such a great start to the countdown! Love the Tremendous Treats concept. 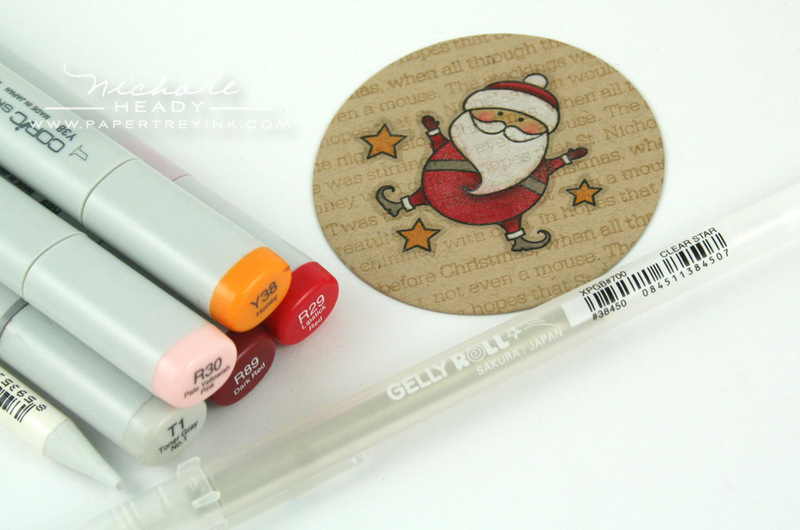 Perfect for making holiday tags and package toppers! And the new Shape Up Snowman series is adorable. So many great projects were shown today. The layerz mat stack 3 has caught my eye! Love the way you show a different way to use it on the penguin card. So cute, and of course everyone loves snowmen! Thanks! Love all the cards you made!! The layerz mat stack 3 is a must have and I do love the large tiny treats!!! So excited about Tremendous Treats–it will be so versatile for projects this Christmas! And the snowman just can’t get any cuter! Be still my heart! That Warm Birthday Wishes card is the CUTEST I have ever seen!!! OMG!!! the snowman is ADORABLE!!! Totally a must have! I have so many ideas!!! WOW all of the samples are fabulous! I’m jumping up in down…in my chair. BECAUSE I’m sooooo excited. I love snowman!!!!!!! I love the new Mat stack dies and the tremendous treats. I can NOT resist Christmas things!! This by far is my favorite!!!!! The snowman die is beyond cute – he just has to find his way to my house!!!! Thanks for the chance to win this cutie, and good luck with your release. That snowman is to “DIE” for! 😉 I love that you are enlarging Tiny Treats! Those are some of my favorites and I can’t wait to get my hands on larger sizes! So much fun to be had! Shape up snowman is really cute. I love the idea of Tremendous Treats. I love the sweet little images in the collection of Tiny Treats and often wished they were bigger! I just love snowmen so I am very happy right now. It even makes me happier that they are so cute. I’m loving everything you’re showing so far!! Can’t wait to get my hands on that snowman die!! How awesome that snowman die is!!! I especially love the patterned snowman, opens up a whole bunch of options! The felt ones are so cool! These art sets I really would love to win! And if I don’t win I’ll buy them. I adore snowmen and this is a great one, and the fact that you can diecut snowmen cards, swoon! I like the felt one you made, I could decorate my whole house with these. I also like the tremendous treats and everything you created for this post. ‘Everything is just so cute this month. It is an I want it all kind of month for me. Christmas releases always are. I love love love the Tiny Treats. Everything is simply wonderful! I cannot wait for the Tremendous Treats and the Shape Up Snowman! The 15th cannot get here soon enough. I love the cards and all the other projects. Oh, and I also love the Mat Stack 3 Layerz too!!! All this creative genius for the holidays is definitely getting me to think about getting into Christmas card mode! Thanks for all the beautiful projects, Nichole and team. Thanks also for this chance to win such an AMAZING prize package. Could that snowman get any cuter! Love it! Looking forward to the rest of the peeks! I made ornaments for my Christmas “cards” last year using Tiny Treats, now I might have to make a second series using Tremendous Treats! Very adorable! Your cards today are beautiful! I always love the PTI Holiday releaeses. Oh I’m so in love and so in the mood for the holidays now! That snowman is perfect and makes for such unique holiday cards, but I also love how you can use it with felt and fabric to make ornaments and decor as well! Great job! I love snowmen and this die and stamps are adorable. Every time I think I’m going to not buy for a month, something comes out I have to get. This month is no exception. these projects are amazing. i collect snowmen, so they are perfect for me!!! thanks. So many great products in this release! I love the mat stack, winterberry and star of wonder best. Thanks for all the great ideas! You are AMAZING!! Love the cards, the dies, the snowman!! Your talent and that of your designers, just amazing! Love it all! Oh My Gosh!!! I just love that snowman!! He is so cute and so versatile. I love the samples shown with non-traditional colors. I think the bigger tiny treats is sweet as well! I can’t wait to see what is next. Oh Yay!! So glad you have up-sized Mat Stack #3, it is one of my fav shapes!! This is shaping up to be another terrific release! I really like the Tremendous Treats. And, as always, the projects are very inspiring. Can’t wait to see the rest of the release! I love the snowman die and stamps I see a tree full of snowmen ornaments this year! thanks for a chance to win! I am so in love with the new size of tiny treats. Now making cards and matching gift tags or wrap is super easy. Fab little peek of some awesome holiday projects! I have no idea what I will order first, I love it all! 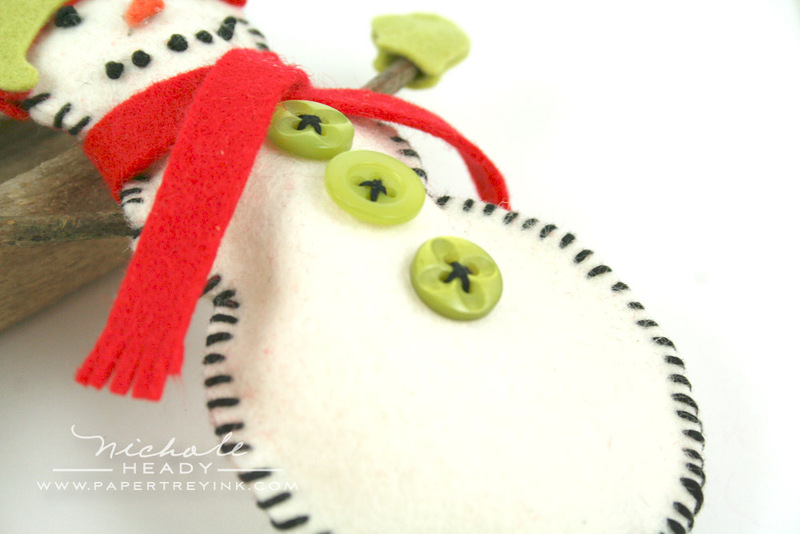 Your shaped snowman is adorable and I like that it can be used with felt to make darling ornaments! These are awesome again this month! I have snapped photos of all the cards so when I get the new sets I can have some inspiration! Thanks again! All cute projects, and what a neat die for a snowman! Love the snowman! I can see a whole string of felt snowmen dressing up my kitchen window — how sweet! Soooooooooo stinkin cute! Especially love the snowman with the cocoa! Wow!! So excited and it’s only day one!! The projects today are so cute and really capture that “homespun” Christmas feel. Thanks!! Awwwww, how cute is that??!? Such creative ways to build a snowman! The green and dark red (bordeaux) color combo you used in the Santa and in the big snowman really caught my eye. I LOVE that snowman die! So cute in the plaid and the text stamped on Kraft. Love it! I love each of the cards–must have mat stack layerz along with the bigger timy treats. Yum! Oh wow, it is all so splendid! I love love love the snowman birthday card; I think that will be the first thing I make! What a great collection! The snowman is too cute! I cannot wait to start making Christmas cards & tags! You have really inspired me. Tremendous Treats is a real winner – love your projects today with them, and I am kind of glad I held off ordering the Tiny Treats now as teh larger version is so much more me! The snowman die is a must-have! Super cute ideas again! What a great start to the countdown! The snowman die is so versatile! I also love the tiny treats – endless possibilities! Wow the super sized santa and snowman are so awesome. And the different sizes of mat stacks are genius!!!! I love, love snowmaen, so I couldn’t be more excited!! The projects are wonderful and so inspiring. Can’t wait to see more. LOVE, love, love Tremendous Treats, and the way you combined the mug with the snowman is just wonderful! More fabulous and versatile stamps to add to our collections! I’m a fan of tiny treats and so excited to see the Tremendous Treats: Christmas release ! Would this be a series as well? Longing for them……. I love snowmen!! This shaped card is just adorable! So happy you’ve come out with the Tremendous Treats set! I love all of those cute images… now supersized! I love the new Layerz Mat Stack dies – those will gets lots of use. What a cute snowman with lots of ways to use him – or her because I can see making him a her so easily! The bigger tiny treats are also such a good idea. Great projects all around and making your stamp sets into larger sizes has to be the best idea ever! Wow – how cute is this snowman? The felt ornament is just too adorable! And, where was this wine tag die cut last year – this is great! Can’t wait to see the next four days of previews. I love everything about snowmen and your post today was full of them…..and all so adorable. Can’t wait to see what all you have in store for us. So many possibilities with Mr. Snowman. Love your samples. The Reindeer from Tiny Treats has always been one of my favs. Can’t wait to get my hands on him in Tremendous Treats. Snowmen are my absolute favorite! Thanks for the chance. what a super cute snowman and the treats collections is sure to be great!!! Everything is AMAZING…as always! The snowman die is without compare, and to use it with felt – just fabulous!! I just love the samples posted today!! Make me look forward to Christmas even though we haven’t even had Halloween yet! The tremendous treats stamps look lovely. Lots of gorgeous creations today! Love everything but especially the snowman! What a cute guy or girl! Love the tremendous snow man. LOVE the new larger sized tiny treats ! as usual, can;t wait til the 15th!!!!! I really like all the projects, but that sweet little penguin just stole my heart! The tremendous treats set is going to be a big seller- so versatile, & looks great with the larger mat stack 3. Thanks so much for all the inspiration! Wow I reAlly love all that you are showing today! Just adorable. I have been looking forward to the larger tiny treats and the snowman is just affordable. Can’t wait to see what you have tomorrow! It looks like Christmas is in full swing in Papertrey land. It’s going to be such a fun week! Just when I think that I have enough Christmas stamps sets……man, was I wrong! lol LOVE that snowman die and the tremendous tiny treats. You ladies are genious! Tremendous treats are indeed a treat for us. So cute and so versatile. I just love these! The snowman is darling! So adorable!! I especially love the felt snowman – well done! Oh the snowman projects are so adorable! And you picked some of my favorite images to go big in Tremendous Treats. Christmas is in the air, yay! The snowman die is to die for!!! love the biger treat images – cannot wait to see the other wonderful goodies you have in store for us!! Its Christmas in October. You gals keep setting the bar. Looks like another start to a great release…so many choices. I really love the cards that were made. I am always amazed by the talent on your team! Thank you for sharing your talent! Makes me want to pop in my favorite christmas movie and get started on my christmas cards! Thanks for the inspiration!! I collect snowmen so this set and die just has to be mine! The snowman birthday card is brilliant. I am very excited to get these sets!! A shout out for Tremendous Treats! I really love that the images are larger now and can be used in a different way. And the snowman die plus stamps are perfect for my little boys to get crafty 🙂 can’t wait for the 15th to come! WOW!!! You’ve done it again. The peeks didn’t excite me much, but see them made into projects, that does it.Now they’re a got to have. Looks like it’s going to be another OUTSTANDING release!!! I’m am so loving all the Christmas projects!!! The larger versions of the tiny treats are so awesome! Oh boy there are so many things i can think to do with the snowman die, i had better start writing them down. I just love Tremendous Treats – it is cute magnified! Love, Love the snowman!!!! I have always collected them. What fun possibilities. Oh my… I’m sunk. I have such a weakness for snowmen! That snowman birthday card is just unbelievably adorable! I can’t wait for the tremendous treats too! I loved coloring the tinies last year! I love all of these new products. The layerz die and snowman die and stamp set are so amazing. Can’t wait to see what else there is this week! Thanks for the chance to win such an amazing prize! I LOVE the snowman die collection and stamps. What could be cuter? What a wonderful addition to the die series-snowman! I love the size and how he can be the center of focus. Beatiful cards & inspiration! 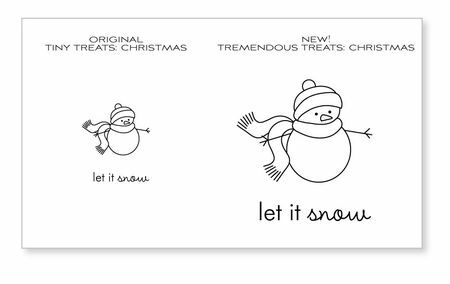 Up-sized Tiny Treats images and an A2 size snowman die w/accessory stamp set?! My heart is RACING, and it’s not from the caffeine in my coffee! (:~) LOVE IT! 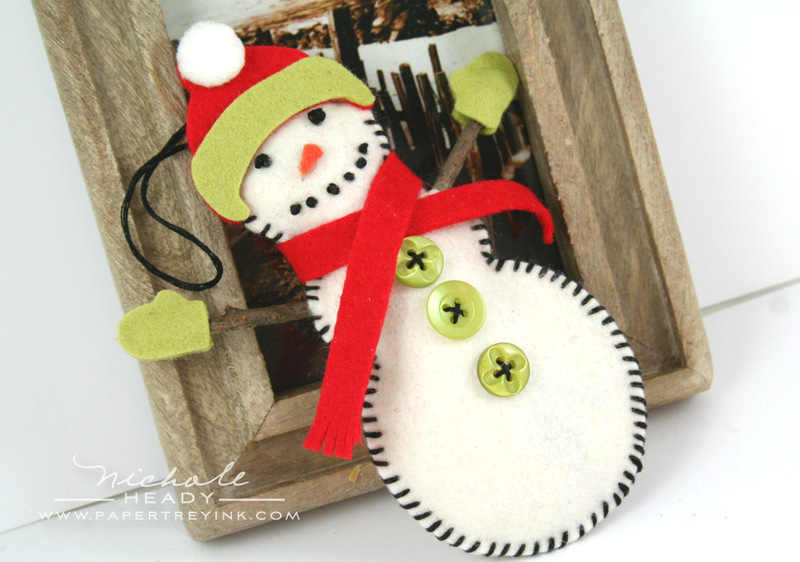 Love that snowman die … I’m thinking of felt ornaments, shaped cards , etc. That snowman is just too ADORABLE!! Love it! Beautiful inspiration, as always, from each of the designers! Can’t wait to have these goodies at my house to play with! Wow! What a great way to start off the release! The Shape Up Series: Snowman is AMAZING. I love that you can create so many different looks and projects with it. And the fact that Tiny Treats Christmas is going Tremendous is…well…TREMENDOUS! Lol! The pairing of the two on the winter birthday card is genius and I love Betsy’s snow family! Thanks for always raising the bar in the stamping world PTI gals! What fun new goodies! Now that I’ve used one of the Mega Mat Stacks dies, I’m super excited about all of them, especially this month’s addition. The felt snowman ornament is great, too! Love love love the idea of Tremendous Treats! Can’t wait to get my hands on that set so I can color them! Wonderful snowman and layerz! I am a collector of stuffed snowmen and they all come out to play in my house during the holiday season. Love the cards you created! Oh my! Why do budgets have to exist? I seriously love everything about this release. A Layerz Mat Stack 3 means I don’t have to fussy cut my mats anymore. Woohoo! Loved all of the projects today! I love snowmen even more than Santa… so cute and more versatile! Beautiful projects and great inspiration. Wow! Love it all! Want it all! Oh my goodness, my cuteness factor is in overload! I adore the snowman die, so many possibilities come to mind. And the Tremendous Treats is another must have, love the projects today! Thanks so much for the Tiny Treats Christmas in the larger size and I love the images you have chosen. To have the layerz dies is such a bonus too. Great first day showcase and thanks for the contest chance to win!! The winter birthday card is so cute…such a great idea! These are fabulous! Some of my favorite products made bigger and better! I can’t wait to play with some stamps and dies! How incredibly adorable! That felt snowman will make such fantastic gifts – ones that will no doubt be cherished for years! Love the color combos – they always “WOW” me! Can’t wait for the Snowman die. It looks like a lot of fun with lots of possibilities. Snowmen are my weakness, and you have made them too adorable to resist!! Those Tremendous Treats designs are just begging me to color them and paper piece them…I can’t wait! OMG! The snowman is so cute! I like the fact that snowmen can be used at both Christmas and throughout the winter. And speaking of cute – the TT:Christmas set is just adorable! Hard to resist either of these sets! Thanks for the beautiful cards! I can’t wait to order the tremendous treats and the snowman die! My daughter and I are going to have so much fun with these! We already have ideas for lots of fun things to make – thanks for bringing out such great products each month! Ooooo, what a fantastic day of peeks and projects!! I love the Tremendous Treats, I could use that a lot, and the dies are to die for!!!! As always I truly enjoy this time of the month! Love all the examples you showed for this BIG tiny treats set! Super duper fabulous! Looking forward to tomorrow! I really don’t know how you keep coming up with such great ideas! I love the snowman, especially the one cut out of felt. Great projects! Fabulous!! My favorite is the felt snowman. Got to love those tiny treats all grown up! It’s my second year making holiday cards & gonna have fun coloring these cuties. Love the snow man and dies! The wine bottle die is perfect, too! PTI just blows me away, month after month! Oh, how I love Christmas!! This is all amazing!! I just love that snowman!! LOVE the snowman die!!! And I’ve be waiting for the tiny treats to get bigger!!! lol….. I thought last month’s choices were tough, but oh my – how will I ever choose this month. I love the Shape Up Series Snowman – he has so much personality – and the Tremendous Treats – delightful. Great projects made with these new sets. SO in love with that snowman!! Also, Tremendous Treats is ABSOLUTELY ADORABLE!! These are must-haves for anyone’s winter crafting collection!! 🙂 Beautiful projects as well…great job!! The start of another great release. Have family and friends who LOVE snowmen. Already planning out cards to make and give!!! I LOVE IT! That snowman die is just fabulous and the matching stamp set is so pretty. What an easy way to make something unique. Especially love the felt ornament. Thanks for the inspirations! All of these new items are “must haves”!! I have a weakness for snowmen and love the different ways you have made them today! Love, love, love the big snowman and the other holiday stamps! Great way to start the countdown! Amazing!!!! Just when I was thinking I have enough Christmas stamps and dies!!! I love everything…. Beautiful cards today! I love that snowman! Awww that snowman is the cutest! Love where he is holding the coffee. So many fun ideas! I think a snowman may be my favorite winter symbol, followed closely by snowflakes. (Snowflakes are winter’s butterflies, right?) These projects made me smile and anxious to try out the new products for myself!!! “…My name is Janet and I am addicted to PTI..”, is definitely at the forefront of my thoughts – heehee. I just adore your text Snowman! I am head over heels in love with the snowmen you made. I love these new sets and dies. I can’t wait to get my hands on some. I want to start out by thanking you for all the Papertrey dies!!! U have made Papertrey a “one stop” shopping experience…I love love my dies!!! The snowman is adorable what a nice “buy”…there is so much we will be able to do with it…love it!! And…….all the layerz/mega dies….terrific idea…Thanks and that is the end of my commercial endorsement LOL!!!! I LOVE the snowman die cut and matching stamp set!!! I MUST have them. Your samples are adorable. My son and I are looking forward to making our own felt snowmen. Oh my, what a release this is going to be. I must have everything you mentioned today!! Love, love, LOVE the snowman die! 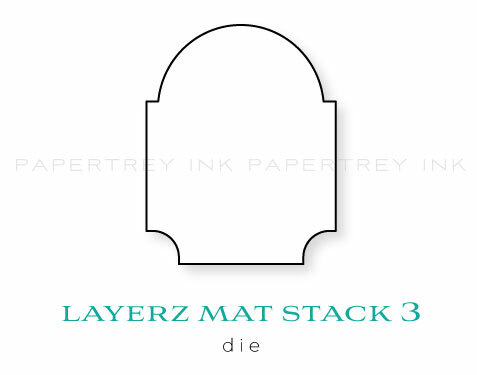 And, I am quite excited about the layerz mat stack 3 die….I really like the mat stacks, but, I prefer to have 2 sizes for layering depth…thank you for making my fav mat stack in a layer format! That snowman birthday card is to “Die” for (pun intended – groan. . .). Seriously, I do not have any of the Mat Stack dies and thought I could live without them and another snowman, but this card really made me rethink my position on this, much to my DH’s dismay! So cute for a winter birthday card, a happy hello, a thinking of you — yes, the wheels are spinning! Am loving the tremendous treats! And the mat stack dies are a nice addition to the collection. Summer is my favorite time of year so snowmen take a back seat but still cute in his own right. Wish me luck. ok, the snowman is beyond CUTE!!!! I have fallen in love with those Mega Dies…… gotta have then now…..
love snowmen! sooo many cute cards, and I love the felt snowman. That snowman…and all the snowmen projects….is absolutely adorable! Love its versatility! LOVE the tremendous size of the Tiny Treats images. That Santa Claus is adorable. Can’t wait to color them in with my Copics! And the mat stack 3 is my favorite mat stack, so I’ll definitely be adding the Layerz and Mega to that collection, too! Awwww, I love snowmen! These are adorable! I am loving the snowman die and stamp set!!!! I collect snowmen…..I am hoping to purchase some things …. Hoping I get my bonus at work! Love everything!!!!! Love the new shape up series. Snowmen are definitely what I need to add to my ever growing Christmas collection. Cards are really cute as usual. WOW! I honestly can’t decide what I like most – they are all equally fabulous, as always! I love that you made some nontraditional snowmen in plaid and kraft, and the unique winter birthday sentiment is perfect! Loved the tiny treats,looking forward to the tremendous treats. The snowman is great. I love the snowman cards. I just have to have that snowman die, he is so cute! I love how you have given us some of our favorites in a larger version! The snowman die has caught my eye, too! Ooooo… I love Tiny Treats Christmas! I use it to make all the tags for my packages! The Tremendous Treats Christmas will be so much fun! Gosh…I just LOVE that adorable snowman die & can’t wait to make some fabulous shaped cards & felt gift tags. The snowman is fabulous, and your first card is to die for! I’m enjoying the layerz for the Mat Stacks. That snowman is adorable w/all his accessories. Also I love the bigger scale on those Tremendous Treats. I love the snowman die. I can’t wait to play with it. I love snowmen. I collect snowmen. Can’t wait to play with the snowman die!!! Your patterned paper snowman project is fabulous!!!! I am always amazed at the amount of projects you make for the releases! These fun images will be a huge hit! I love the Tremendous Treats concept!!! My tiny treats are loved greatly and this just adds a whole new element of creative fun! I love how the snowman is holding the hot chocolate….WOWZA!!!! This is a prize I would LOVE To Win….oh how I would be full of Tremendous Joy! your snowman is so cute – especially like the way you’ve used him in other than traditional white on the cards – very effective. the new mat stack is a must have! Squeeeeeeeeeeeeee! I love the snowman!!!!!!!!!!!! My fate was sealed when I saw him in plaid holding the cup of hot cocoa. MUST. HAVE. THIS! Super cute! I love snowmen! I absolutely love the Tremendous Treats!! Love the way you used the mug and snowman die. So cute! I can see so many ways to use these 2 new products and the new mat stack. Cannot wait to see what is next in the coming days. Love the Snowman Die Collection. Looks like a lot of fun for my kids to help in some holiday decorating. These are adorable!! My sister got me started collecting snowmen so this is so perfect for me. I love the new Snowman die & the projects you created using it! I can’t wait to get my hands on this. It will make some really cute projects for Christmas. I used the Tiny treats a lot last year. Now gotta have the bigger Tremendous treats which lend so well to Copics. Love Snowman also!!! A must have. I love the snowman and his accessories. The ornaments look like they were a lot of fun to make. Can’t wait to try this. The snowman die set is awesone. I especially love your take on it with the banner.Another great addition to PTI! Squee!!!! Confession, I was literally sitting here clapping my hands over the Tremendous Treats: Christmas! I’m a big fan of the Tiny Treats series, and these larger images are just going to be so much fun. Does it get any better than snowmen? I love the way Betsy used just the head portion of the die for her cute snowmen card. So cute! whow looks like another amazing release lots to look forward too…. Oh my word!! Such beautiful projects. Love the Tremendous Set: Christmas and the Snowman die, the project with him holding the cup is just adorable. Love the felt ornament also. Can’t wait for the 15th for this!! Cute! The snowman is awesome! Everything is so amazing! Took a peek at Dawn’s Poinsetta dies and man they are amazing! I am beyond exited about Tremendous treats! Thank you so much for listening to everyone’s request. I love snowmen. That die is so amazing I cant wait to get my hands on it. You Rock girl! I have loved The Snowman – the books, stuffed versions, and video for over 27 years, when I discovered it while living in Japan! It’s our family favorite as well. I LOVE your snowman die, with coordinating stamp set! How adorable. I think this will be super popular. Love the bigger sizing of the treat set, too! I have used the Tiny Treats so much. Making them larger is going to be wonderful. The snowman die is so cute. What a great start to the release count down! I love snowman. they just bring you a warm and cozy feeling of the season. Thanks for the chance to win. OMG, happy morning! 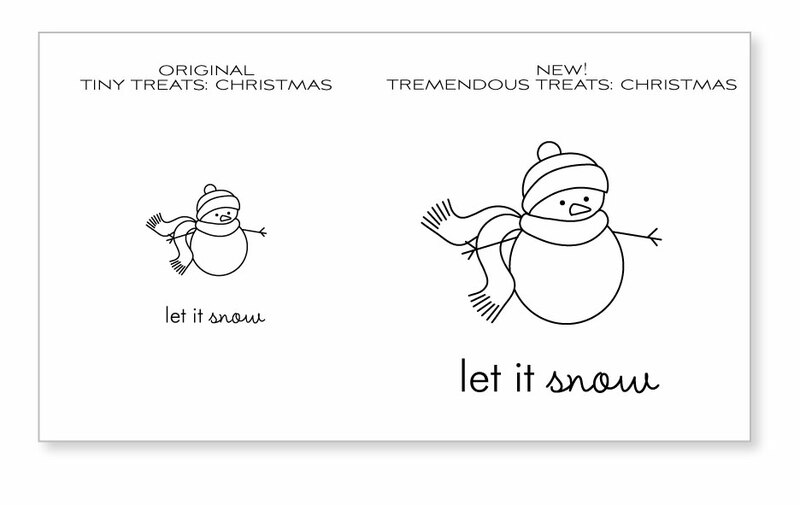 LOVE Tremendous Treats, that adorable snowman and the new versions of my favorite Mat Stack die!!! Cute, cute, cute. I am loving the Tremendous Treats stamp set with the Mega Mat Stack 3. So so cute! I love Made of Snow and I’m sure I will love this big Snowman just as much. So excited to cut some felt! I LOVE the snowman die! Just when I thought I was sure what I wanted to do for Christmas cards, you introduce another fabulous idea! Looking forward to all the fun cards and tags made with it! The snowman stamps/die is wonderful! Each year I put together a snowman to use on cards, but having each little detail easy to cut and use will save a lot of time. Can’t wait to place an order this month. Awesome as always! I like the way you added the cup of cocoa to the snowman. I imagine there are many other stamp sets that have small items that can be utilized this way. Oh my goodness! I just purchased Tiny Treats: Christmas because the images are so adorable. I can’t wait to add the larger versions to my collection. I love the projects you made with those stamps. Thanks for listening to customer requests. Oh my goodness! I love that snowman card!!!! While the snowman is as cute as can be…I think I am in love with the Layerz Mat Stack 3- LOOKS AWESOME TFS! This is beyond anything I was imagining! What a wonderful first day kick off – I look forward to seeing the rest of the countdown week! Oh my GOSH! It felt like Christmas this morning when I came to check your post! Such amazing projects! I had to pin several! The snowman die is simply amazing. Love it. LOVE, LOVE, LOVE this snowman. Didn’t think I needed any more Christmas stuff but he is too cute to pass up. Always amazing the products you come up with. 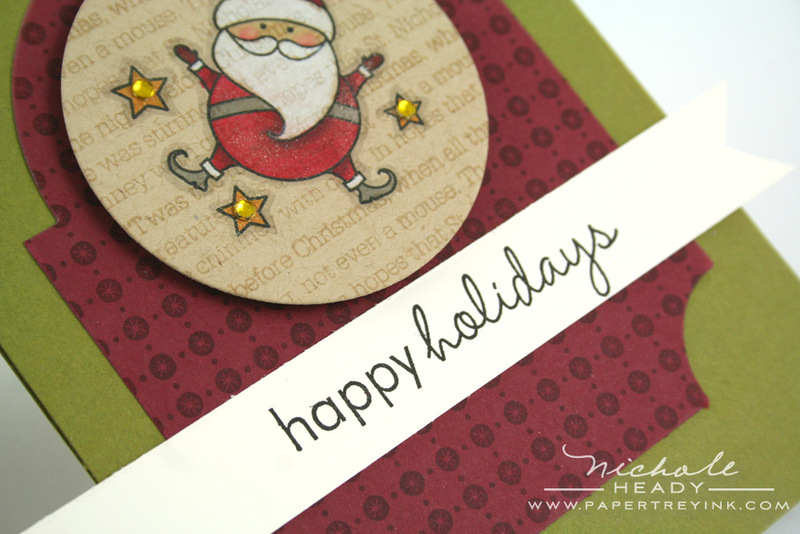 I am loving the mega mat stack die and the Tremendous Treats: Christmas set. Such cute projects! Thanks for the chance to win! I am in love with that snowman! That would be such an easy way to make fun ornaments to attach to my gifts this year! Wow, how cute is that snowman die!!!?? All your projects are fabulous as always, but I really love the card with the snowman and the cup of cocoa. So Cute!! Great job. I love the idea of the Tremendous Treats, how fun and cute. A great addition to the winter/Christmas sets. The new Mat Stack Layerz and Mega are a great idea and I jut love them. All the project from today are great as usual. The snowman is so adorable! I must have the tremendoous treats to get me to bring out my copics again. Wonderful ideas by all the designers. I love the snowman and the different looks you presented, something for everyone. I adore snowmen in any material. I put my collection out with the Christmas stuff so I can have it out longer—all through winter. Love it! So seeing the snowman die, the stamps that go with it, the larger tiny treats—ahhhhh. That snowman die is JUST TOO COOL!!! LOVE everything you have shown us today, can’t wait for the rest!! I can’t wait for the big treats stamps!! 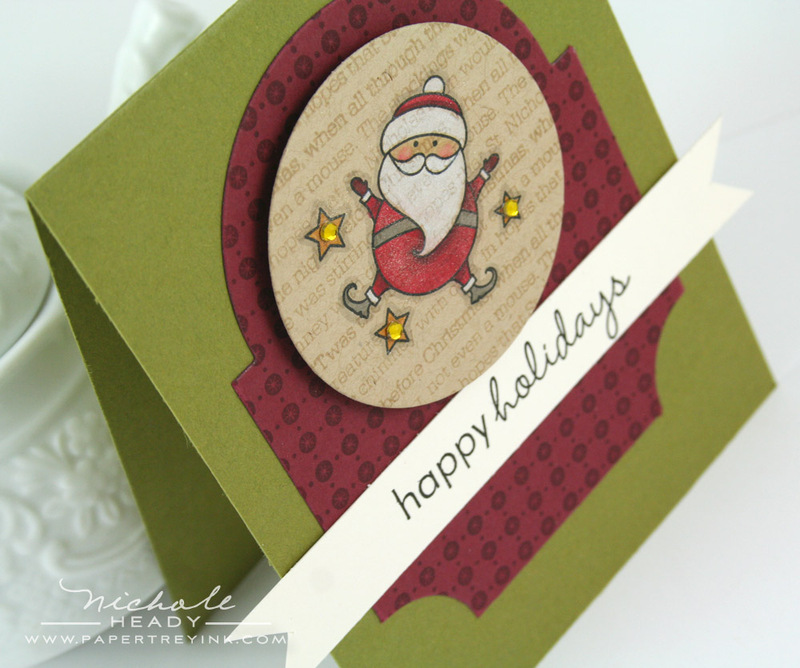 Love the poinsetta die and stamp!! Love, love, love this Snowman die! There are so many ideas swirling around in my head for it’s use throughout the entire winter season, not just for the holidays! Oh what fun! Snowmen are my weakness, so I’ll definitely be getting the new one. Also happy to see you are making the bigger Tiny Treats! that snowman is fabulous! What a great christmas set! This snowman is wonderful and the mega mat stack 3 is perfect!!! Tremendous Treats so much to chose from, I can’t wait. Count down is having lots of patience! Oh my goodness, the snowman holding the cup of cocoa is just the cutest thing ever!!! I love snowmen and collect all that I can get my hands on, so this one is surely coming to live with me! I’m going to have so much fun creating Christmas cards with my 4 year old with all these fun dies!! Can’t wait! Wow! These projects and new products are all incredible! My favourite is that plaid snowman– adorable! I love that snowman! I can imagine so many uses for him!! Snowmen are by far my favorite Holiday image! I love the idea of being able to create the keepsake ornaments for years to come! The snowman is such a classic Christmas image…I love that you made a Shape Up Snowman die! The layerz and mega mat stack series are also fun and innovative and I can’t wait to try this third collection! I have always loved snowmen & these dies are just ADORABLE! I think dies are one of my favorite tools and the mat stack collection has been my favorite from the beginning so I LOVE the layering options. Everything you made is so awesome!! My faves are the Shape Up Snowman and the Tremendous Treats – love the Santa card you made! Those stuffed felt snowmen would be the cutest thing to use for gift labels!!! OOOH, all kinds of ideas runnig through my head! Oh, my! I am loving the bigger images! Great stuff!!! Oh that snowman!!!!! Gotta get that one! Just when I thought I didn’t need anymore Christmas stamps or snowmen, I see today’s awesome snowman die and stamps. This will be in my cart on release night. Looks like a great start to the October release! I just love the Tremendous Treats Set! Such a cute snowman! Amazing projects as always! Awwwwwww – snowmen melt my heart! LOVE all the snowmen stuff – fun, fun, fun! Can’t wait to see what else you have in store for us! Santas and Snowmen – so CUTE!!!! I love all the enlarged Tiny Treat versions and the BIG Shapeup Snowman card. Where to begin with all my praises for such wonderful goodies! And this is only Day One of this release! Love the snowman, he is just way too sweet! All of the cards are just adorable. Now I’m ready for it to snow! These new additions are absolutely amazing and you’ve showcased them wonderfully. So many things you can use them for! I really love the snowman die!! Your ornament is darling and the card is so cute too! Thanks for offering the great prize!! OH!!!!! The giant snowman is so adorable . . . . and then the sample ornament made out of felt. A must have! Wow! These are awesome! I love the Tremendous Treats and the shape up snowman! The cards are great too! The snowman die is amazing,! And with felt? Awesome! I just fell in love with the Shape Up snowman. There are so many uses for it, banners, cards, ornaments, place cards, and more!!!! Your samples are darling. Love the large tiny treats, too. Snowman lovers rejoice – a shape die with accessories! YEAH! I’m also really excited about Tremendous Treats – fun way to start off the countdown! I feel a “I Want It All” coming on!!! The Snowman! Tremendous Treats!! I cannot wait to see what tomorrow will bring.. I LOVE THE SNOW! I have never seen the clip, which I loved also!!! And the new releases??? wow!!! ’nuff said. Oh, my, how I do love Christmas cards. I love the larger size images — the Tremendous Treats! What a great idea. LOVE the snowman projects, Nicole. Such adorable and creative ways to use this cute little guy~~stamps and dies, OH MY! Let’s see ….. what caught my eye? EVERYTHING!!! Your reveals every month are mind-boggling! Love all of the new products! The large Tiny Treats is such a great idea … the images from that stamp set are adorable! Oh, that snowman die is so darn CUTE!!!! Oh my Made of Snow snowman has got a Dad now! So cute – just love the felt snowmen. And lots of people are going to love Tremendous Treats! YES YES YES! Tremendous Treats are fabulous!! Thanks PTI! I like everything we have seen so far! Be still my heart… I LOVE everything! (this is not the first nor will it be the last time I type those words I am sure! LOL!) can not WAIT to have them in my creative hands!! Fabulous as ALWAYS PTI!!! Wow! I gasped when I saw the Mr. Snowman Card. Absolutely love him! Also love the Mega mat Stacks! Oh all those snowmen are totally adorable. And the penquin is so cute. Would love to win this release for sure. I love the larger tiny treats images! They’re just perfect for coloring. ADORABLE! What else can you say? I LOVE that snowman. So cute and so versatile. I’m so excited that you supersized ALL of the Tiny Treats: Christmas. Can’t wait to get my hands on them. LOVE the new snowman shape series!! Can’t wait to put the tiny treats to work in a BIG way. I am a definite Snowman addict. The new Shape Up Snowman die is wonderful!! Off to another awesome release. Thank you! Raymond Briggs is just a superstar and I absolutely love that you included that clip. And, your warm winter wishes card is just about the sweetest card ever…I love that he is holding some cocoa! oh my, the possibilities are really endless!! These are adorable. I just love the snowman die. this would make great cards. Wow! I love it All!! But the Snowman Shape Up is Perfect…he will be living at my home this holiday season. Thanks for another great release. I was kind of hoping the Tremendous Treats would be $5 sets, like the rocket and frog released earlier this year. But this new size looks great for cards and larger projects. Can’t wait to get my hands on the snowman die set. So many possibilities! The card and felt snowmen you made are abolutely adorable! So many great ideas this month, it’s going to be so hard to chose. Thanks for all the great ideas. I thought the tiny Christmas treats set was adorable, but never bought it because the images were too small for me. I love that you are coming out with a larger set of these images. I would love to see the Valentine tiny treats set made larger as well. Hint, hint. Oh I love that snowman! He is super cute. I just love it! The Tremendous Treats are going to be so much fun, and I just love the Snowman. 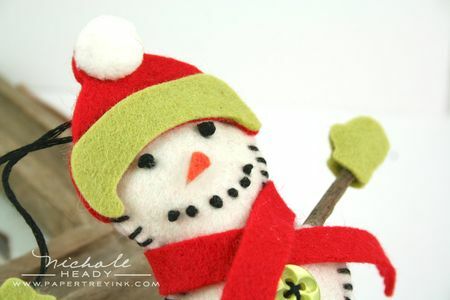 My favorite project has to be the snowman ornament out of felt, he is just adorable! Oh my, those are all SO cute!! I love what you did with the snowman die! Super, super cute! All of the examples today were so cute! I just love the new sizes of the mat stacks too. Love the snowman die. Your samples are so cute. Can’t wait til the 15th. Oh I love the snowman with the cup of hot chocolate – too cute! I thought I would be able to resist him but he just melted my heart! Lol! LOVE LOVE LOVE this sneak. I have original tiny treats and the build a snowman. SO excited to see the supersized darling images and the snowman die. If it were possible, they’d already be in my cart! Everything caught my eye today! I love the Tremendous Treats and that snow man is too cute! I love the original Mat Stack 3, so I can’t wait to get these larger size dies. Amazing! Strangely, I have a new love for snowmen stamped with patterns. Wonder why? Stamped and stuffed snowmen are always better, in my opinion, than the real thing. Real snowmen mean that there’s been lots of snow, and I’ve had enough of that! Your projects today, as usual, are beautiful. LOVE, LOVE, LOVE the Tremendous Treats: Christmas and the Shape-Up Snowman sets! Snowmen are kinda my thing, as their timeline isn’t limited to just Chrsitmas. You can put snowmen up at Thanksgiving, and leave them up through Valentine’s Day! And you never find a snowman who is anything but jolly. Love their sweet little faces. Thanks for the great additions! We are having gorgeous fall weather, but your new release is really putting me in the mood for colder weather. Oh my word! I think these are the cutest images ever!! How can you not love that snowman! Adorable!!!! Oh my…where to start?! What a fun way to start the countdown! I love both of these sets. I used tiny treats last year for so many fun little gifts to coffee stand, bank staff, and teachers….cannot wait to use some of these fun sets this year! I love snowmen! I can’t wait to get my hands on these products. How cute is that with him holding the cup. Oh the possibilities. Snowmen are one of my favorites. Love all of today’s projects and am looking forward to the rest of the week. i cannot wait to make adorable snowman cards and stuffed felt snowmen. so adorable! What a great way to start things off! I love everything snowman. Any I also love the expanded version of the tiny treats images. The one that I think is absolutely adorable is the little penguin. And another mega mat stack, woo hoo!! I’m excited for more. I WANT THEM ALL! I especially LOVE everything about that adorable snowman! Great, great cards!! The snowman melts my heart! LOVE the snowman so super cute…actually LOVE it all!!! EEK! How exciting! I am so loving the snowman die and the larger tiny treats, YES!!!!! woo hoo!! Now I am officially excited! I just lOve snowmen. Especially now that I don’t ever see them here in Australia. How I miss a white Christmas. That snowman is so precious! I love all the different ways to use him! The Layerz and Mega Mat Stacks are a favorite of mine! But really, isn’t everything!?! I absolutely LOVE the snowman die and cannot wait until the 15th to order it. Snowmen are my favorite holiday decor and I enjoy making cards with anything snowman. Gotta have it!!!!!!!! These are my favorite Christmas stamps and dies released so far this year! Love them! The snowmen cards are so cute! The possibilities could be endless. Again, I am just loving the new mat stack dies, so fun! And I’m not usually one for shaped cards, but that snowman has me rethinking! Snowmen are my favorite winter theme. I love this set and plan to use it to make felt snowmen to attach to my Christmas presents this year! Love these! Love the new treat images super sized!! Another great start to a new release! I just always love to see the cards and projects made with the new sets. Oh MY — as each new project is revealed, the cuteness factor just increased once again! I was ooh-ing and awww-ing through my first cup of coffee. What a sweet treat today’s adorable post is and what a treasure to have each/every element seen today to create our own version of total cuteness!!! Beyond adorable!!! I have been very ill and have missed the last 2 releases ~ I can’t tell you how grateful I am to be here for this one! There are just too many amazing things here to mention but that Snowman Banner card just blew my mind! I collect snowmen and adore them…. the Shape Up Snowman die will be used for many, MANY years to come! What a fun idea! I could see using this snowman to make an advent calendar as a banner above our big window. Oh I love that you’ve up-sized the Tiny Treats (and with the naming I hope that means other up-sized sets are to come!!). 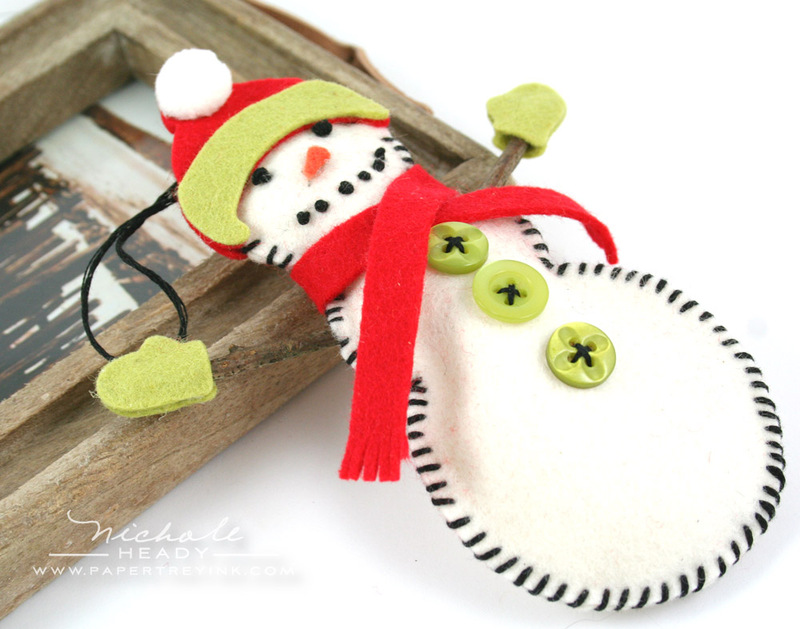 I don’t normally do shaped cards, but the snowman die has so many other uses – I *love* the felt ornament you made! I LOVE snowmen; so, this is a definite must have for me. Also, the mat stack layerz are awesome. The Tremendous treats will be so much fun for the holidays. I can tell this is going to be another great (expensive for me!) release. That snowman is absolutely adorable! And I’m loving the enlarged Tiny Treats: Christmas images! Nichole! I don’t know how you do it every month, but you seem to combine the sets that I’m most interested in to one post. Tremendous Treats and the Snowman is what was on my radar from the peeks last week – and I CAN’T WAIT to get these in my cart. Your projects are wonderful today! LOVE! I am loving the bigger versions of Tiny Treats. That was my all-time favorite holiday set from last year and I’m just so thrilled they’re back again in a whole new way. What fun Christmas cards you have made – love all the new sets to inspire us!! Every month I am always amazed at your release stamps! And you have some of the best dies on the block to go with them. Thanks for such great products. I love the snowmen images. Love, love, love the snowman and his accessories. Last year, my girls and I made small felt bird ornaments. I think we need some snowmen to join them! OMG!! So cute!!! I love them and I must have them! I’ve been so happy just to be having nice fall weather but after seeing this I’m ready for snow!! Nichole, you outdid yourself on these projects! Every single one…and every single detail…has won me over completely. As I scrolled from one to the next, my jaw kept dropping. I knew that I wanted the BIG tiny treats, but that snowman with the mug? Seriously? GAH! And the penguin with the mat stack…genius! You think of everything! Can’t wait to add all of this month’s goodies to my craft table. That snowman is adorable!! I love how you made him plaid…just to darn cute! !What great release, and its only day one!! Everything looks great! I really like the layering for the mat stack series and the snowman die. It all looks good to me. What a fun reveal Nichole! That new snowman shape up die is adorable. Love the Tremendous Treats too. I am LOVING the snowman! He is such a cutie!! And, the Tremendous Treats are going to have me crafting all season long!! Oh I cannot WAIT to see the full reveal of Tremendous Treats! I adore snowmen, gingerbread men, reindeer – all the sweet whimsical creatures of the winter holiday season! 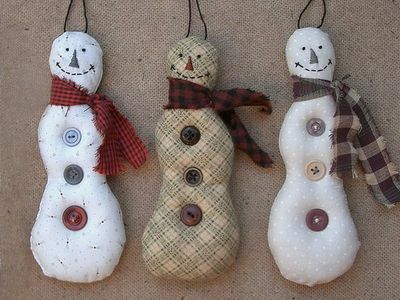 I cannot wait to make felt snowman ornaments of my own as well, I used to love those felt ornament kits when I was younger! The 15th cannot get here fast enough! Love love love the snowman, he is just to much for T.V. Love every thing that I have seen today, the wallet is in big trouble this month!! Such a cute idea to make such a large snowman die and accessories with a small stamp set to further customize the snowman! Love the large mat stack die sizes. The larger scale of the tiny treats is another great idea. Great projects as always. Thanks for the chance to win. Wow! The snowman die is just amazing! So very exciting! 🙂 You and the team continue to keep the wish-list alive every month! 🙂 Waiting to get the layerz and mega stacks too! Great concept! I absolutely LOVE the tiny treats that I own so having them in a bigger size IS a treat! The dies always push me over the edge and the layerz mat stack 3 is definitely going into my cart because I use the original one all the time. ACK!!!! Muuuuust havvvvvve snoooooowmannnnnnnn! Adorable projects Nichole! sized tiny treats. Can’t wait to see the rest. i love the stuffed snowman. Super cute!!! Wow love the projects created especially the snowmen. Thanks for all the inspiration and a chance to win so fabulous items. Cuuuuuuuuute!!! Everything shown today is a MUST HAVE. I love the way you used the Layerz mat stack 3 on the last card. it’s a record warm fall in Minnesota but I know snow and cold will come soon. your projects put me in the mood for the holidays. I especially love the little penguin. Oh my goodness, I can’t wait for the 15th!!! I know already I’m going to “want it all!! !” Such wonderful projects to inspire us! Oh I want them all. I love the Snowman and the enlarged tine treats. I love anything snowman. So CUTE! I can think of tons of fun things to do with him. Great projects! So fun! Mat Stack 3 is my favorite, so the new dies are a must-have! And I love the Tremendous Treats images, so that will be coming home to me as well. Just when I thought this MIGHT be a less expensive month than normal, Nichole and the DT make awesome projects and everything is a “gotta have it” item now! Another great release PTI! Thanks for all the inspiration and the chance to win this fabulous prize! 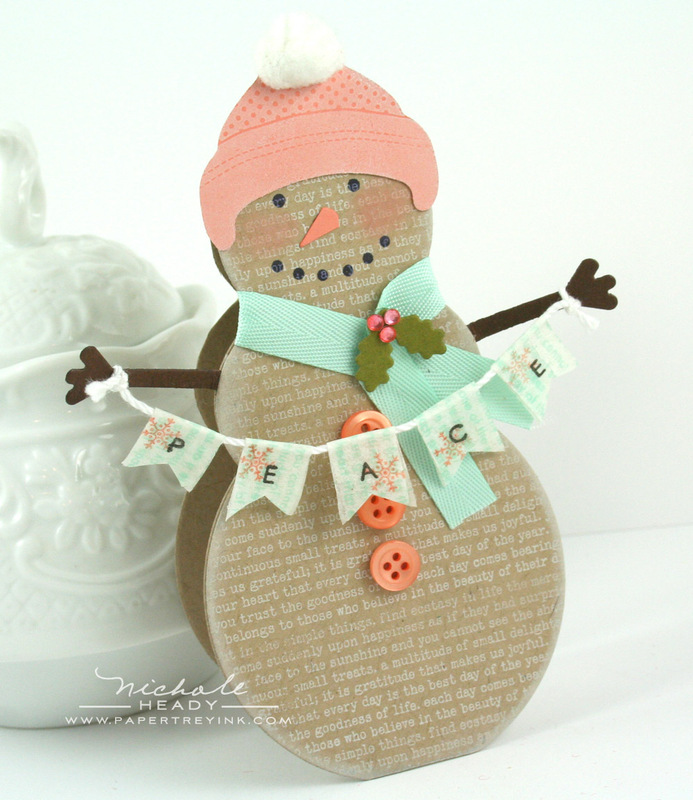 I love everything you made with the large snowman die and the tremendous treats stamps. Looks like I’m going to have a long wish list for the October release! A plaid snowman holding cocoa… LOVE!!!! 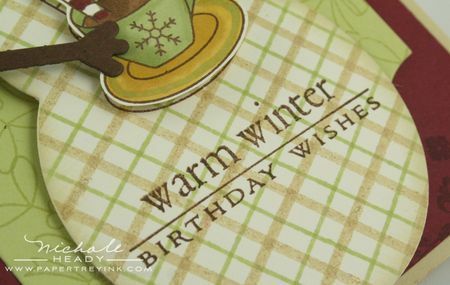 I am SO smitten and can hardly wait to add this to my winter stampin’ stash!!! Love ALL the new products…everything is adorable!! Your examples are fabulous, thanks for sharing. I didn’t *think* I needed anything from this release, but boy was I wrong!!! Absolutely LOVE Tremendous Treats and am very intrigued by the new set In The Meadow. I’m guessing that the sentiment and bit of background on your Warm Winter Wishes card are a peek from this set…..hmmmm off to inspect your projects again!!! of course tremendous treats is awesome but i LOVE the snowman!! so excite! The die cut snowman is just adorable! Great products and great ideas, thanks for such great items! Love the snowman die!! I really like how you paired him up with the cup and saucer….too cute! I used the tiny treats for my Christmas cards las year, now I think I have to use the large ones for this year!!! The snowman card is so cute! and so many possibilities with the mat stacks! And I know there is a nativity set coming , what am I going to do??? Each month I am just wowed by all the new releases!!! I am loving the snowman die and Tremendous Treats!! So many stinking cute things I can do with these!! I can’t wait to see what else is in store! Can’t wait to add that snowman to my collection! I started collecting them when Santa’s became so popular because they were harder to find (then)! So cute. And creative. Love all that can be done with the snowmen. And the penguin…to die for. Brings a smile to your face. 🙂 Thanks for sharing. looks like it’s going to be an incredible release! GAH!!!!!! 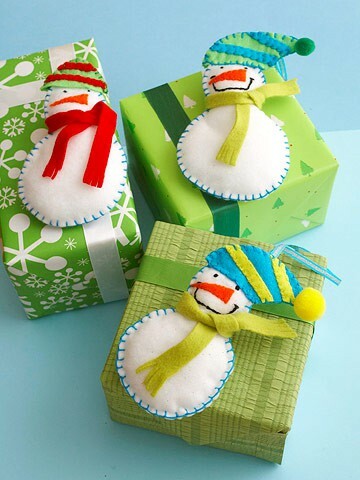 Snowmen are my very favorite winter characters and I just LOVE the possibilities with these products! So fun and creative! I love Christmas, and your ideas are just wonderfully fun and imaginative. Good job….love the layerz. love how all the elements and sizes are interchangeable and so versatile….looks like so much fun, I can’t wait to get some goodies and start crafting!! I LOVE the snowman dies & stamp set!! Looking forward to playing with this set!! I love how you find the differents sets and dies that go together. That coco with the snowman is genius. I will be able to reinvent that image every year with all of that years paper and colors. LOVE IT!!!! I love the patterned snowmen!!! And Tiny Treats has been one of my favorite stamp sets – I can’t wait to get my hands on Tremendous Treats. Love all the cards, your snowman is ADORABLE! I have already decided that I need everything you showed today. I love making Christmas cards and these stamps and dies will be so much fun to play with. Oh My I am so in love with that snowman. I can see I am going to go broke again this release. So far everything is fabulous and I love all the examples.. I am loving the last release also. The snowman die will be a fun addition to your products! Cute ideas! Love the snowman die. I am also looking forward to the suoer sized treat timages. The santa is just adorable. All of it is AMAZING! I’m especially loving the Snowman and accessories. SOOOO many possibilities… we are only limited to our imagination(s)!!! Oh my ! So many “gotta have” stamp sets. Honestly, I don’t know how you guys do it! Thanks so much for sharing all of your many talents with us. The Snowman die looks amazing. I really like the size of it. I’m a sucker for a snowman and this one is to “die” for. Lots of great ideas and inspiration Thanks. Wow! Love it all! The snowman shape and coordinating dies are great for sending greetings to my nieces and nephews. And of course adding to the Mat Stacks is genius! Gorgeous! I love the larger sizes. I might try my hand at making the snowman card free hand!! What a fun release to get us into the spirit of Christmas cards and such. I look forward to seeing what else in coming in this release. I don’t usually do snowmen but these are super cute! Awesome sets today! I especially love tremendous treats. Can definitely see using these and the corresponding tiny treats for the tag all the time. I absolutely love the Tiny Treats going Tremendous! And the Wine Bottle Tag Die that I saw on Maile’s blog is so perfect…all the ideas are superb. These are so fabulous, I can’t wait to get them!! Thanks for such beautiful artwork and inspiration! Versatility = Budget Friendly! I absolutely love the enlarged version of Tiny Treats! The felt snowman are out-of-this-world! What a tremendous keepsake they will be. Very imaginative, creative ideas and so much inspiration – and it’s only day one of the countdown…I can’t imagine what tomorrow will bring! Love layerz mat stack 3 and the snowman together. Super cute! In LOVE with the new snowman die collection! Can’t wait to play with it. I’m so excited about the tremendous treats! And your snowman card holding the banner… oh, my! Adorable! This is the PERFECT holiday stamp set for me…my friends’ kids will love their tags and cards this year…love it! I love that you’re adding the layerz and mega mats to your collection! And can’t wait to see all of the tremendous treats stamps! I LOVE the big tiny treats! And that plaid snowman…he is adorable! so happy you have made the tiny treats images larger- I love them!! WOW! I love the idea of making the tiny treats larger, as there are so many cute stamps in that set! I also love what you’ve done with the snowmen- how adorable! OK. I just love the snowman birthday card. I was just thinking that I don’t need any more Christmas stamps. Hah! I think I need to get all of the the things from today because my husband’s birthday is Dec. 31 and he would love a Mr. Snowman birthday card. So see..? I really DO need to get all of today’s release. 🙂 Once again you amaze us with your creativity, Nichole. Keep up the wonderful work! Oh my….I love it all!!! Wow! I LOVE snowmen. What a great versatile stamp set and coordinating die. I’m very excited. I placed my first order recently and got the mat stack 3 – cannot wait for the two new dies! I just love all the creative ideas and projects! Thank you! I decided not to get Tiny Treats last christmas because they were a little too small. Guess I have no excuse this year 🙂 And lovin’ the snowman!! I’m so excited about that snowman. How cute is he? I’m thinking he would make some really cute gift tags. It looks like we are in for another amazing release. Love the snowmam! And thanks for making tiny treats large! Now I can make matching tags and cards for the holidays! Love everything I see here today. Can’t wait until the 15th to place my order. Wow! I love everything. Such cute dies and stamps this month, I don’t think I will be able to choose so I’ll have toget them all. I love how the mug matched up so well with the snowman – almost like they were meant to be! Oh my goodness! These snowmen are adorable. You’ll be making a lot of snowmen collectors happy! I’m in that group! I just love the little penguin from Tremendous Treats Christmas! My grandsons would love a Christmas card from grandma and grandpa with that little guy on it! Great cards!! So cute!! Love them all especially the snowmen!! This is the best. I can’t wait to get my hands on this snowman……I love love love snowmen and this die cut and set will surley get alot of use, with of course TLC. I love all the cards… and definitely have started my wish list. Tks for sharing. The snowman is so cute. Thanks for showing us so many ideas. Amazing concept! Love the snowman dies and their versatility! Your projects display the endless possibilities of these products. Love it! I love everything in this post – seriously, everything! I can’t wait to get my hands on the snowman die! What fun! Love the snowman, must have mat stack 3 dies. Cute does not even begin to describe this really. Seeing all your wonderful projects makes me excited to start Christmas cards and decorations. So much good stuff and it looks like those dies will make creating easier than ever! Everything is so pretty! I especially love the Mat Stack 3 Layerz and Mega Mat Stack 3 dies. Mat Stack 3 is one of my most used dies – love it! Good grief…I am a grown woman having an anxiety attack thinking I will not get one of those snowman dies and accessories before they sell out! YOU KEEP ME EXCITED! the chance to win all of these wonderful goodies! 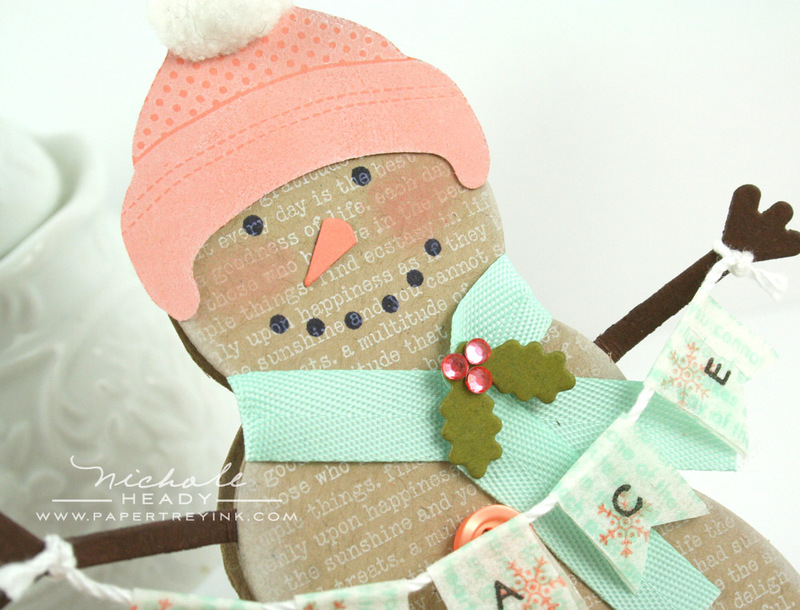 Love the snowman die – so many adorable project ideas. I simply MUST get on the Layerz mat stack bandwagon – I love how easy that makes layering! I love snowmen, and I loved everything you showed us in todays post. And pairing up the mug from the Christmas treats set with the snowman was genius! These sets are so adorable. I just love what you did with the snowman and I really like the Mat Stack layering capabilities. Taking it up another level PTI!!! The snowman die collection is awesome, but I really love the tremendous treats! I love the felt snowmen. The original tiny treats set was great and I am sure this one will be a popular set as well. I haven’t had much time to craft lately as my job and family have taken most of my time. This makes me want to take a personal day from work and craft, craft, craft. Thanks for the inspiration!!! I LOVE this new tremendous treats! The images are going to be so fantastic and the previews are amazing! The snowman die is such a fabulous idea too! Wow!! I am so excited for this release!!! I don’t really have use for the tiny treats series, but the larger size is great: I need those!! And what a cute snowman. As a homeschooler I can envision so many great crafts with that snowman die! Oh so many things to add to my wish list today. I love the layerz mat stack 3 and pairing it with the circle. Since I seem to collect snowmen, that stamp set and die are also a must have. Thanks for sharing all your creativity and inspirations. The snowman die is just toooo cute! I love how versatile it is! I have to say I am intruiged by the snowman shape up die. It is just so cute. I love the fact you can cut out its arms, hats etc and give them extra faces and such like. SO cute. My bank account is groaning already. Loving the new tiny treat images. I am also existed able all the new layering dies. I like how they help to create many new possibilities for cards. I LOVE SNOWMEN!!! I’ve collected snowmen for years and I can’t wait for that die… Love how you made a birthday card out of him. Great idea! Love the mat stack layers too…. The snowman is truly magical. I just love all of the projects with him. What a great idea to supersize the tiny treats. So much fun. The new mat stack dies and layers is awesome as well, so many possibilities. The cards are wonderful–love them all!! Really looking forward to the Tremendous Treats–one of my favorite sets!! Thanks so much!!! I don’t own Mat Stack 3…and never really thought I needed to. Apparently I was wrong. 🙂 I really love it in that BIG size! And that penguin card you made is just so stinking adorable! What a great beginning to the October release festivities! Snowmen are my favorite image for winter/Christmas! So excited about the new shape up die! oh my gosh!! The snowman is just the best – and paired with the plaid – so adorable!! These are so awesome! Thank you so much for making tiny treats BIG! I love those images and now love the fact that they are bigger. Oh- love the Snowman set too! Everything is awesome as ususal, but that snowman shaped card is TOTALLY AWESOME! I just love how you used the text as a background! the pkg this month! Thanks for the awesome ideas!! Oh I want to make all of these adorable CHristmas projects!!! Amazing inspiration!!! So glad to see the Tremendous Treats images! Christmas Tiny Treats is one of my favorite sets so it will be fabulous to have bigger images to use as focal points. Great job! I already want everything and it’s only the first day! The snowman die is just to cute. The new snowman dies are adorable! My sister collects holiday snowman, and she needs to have some of these cute guys for her collection. I also love your Santa and penguin cards. Too cute! These projects are so wonderful! I am especially in love with the snowman die and coordinating stamp set. This is brilliant and will be first on my October order! Thank you for all your hard work and creativity that inspire me! I absolutely love the new version of Tiny Treats. I can think of so many uses for them . They’re just adorable. I’ve always adored the Tiny Treat images, and I think I love them even more now that they are bigger!! And the snowman is totally ADORABLE!!!! Great additions to PTI’s Christmas/Winter offerings. What fabulous cards you created with these new products. I love them all. I think since my birthday is on the 15th this month I may be buying my own present. If there was a release made just for me, THIS would be the one! I love snowmen and Christmas and your ideas are fabulous! Great job. Wow. Love the bigger version of the tiny treats and think I’m going to have to own those new dies, too. I’m SUPER excited about that Tremendous Treats set!!! Fabulous idea!!! So fun to colour in those cute images! Hip hip hooray for Tremendous Treats! I am not the world’s best stamper but I’ve figured out that bigger definitely works better for me. Thanks PTI! Oh my gosh. I love, love, love snowmen. What an awesome diecut and set. I can’t wait to see what else you come up with this week! Love the Snowman die and accessories! Thanks for always sharing such great ideas! Everything looks so wonderful. I especially love the felt snowman. So darn cute. Well, you had me at snowman! Love each and every thing you showed today… tremendous treats are perfect and layerz mat stacks are a great thing :). Thank you for continuing to honor your customers’ requests! The new snowman shape is adorable! I love all of it’s accessories. The tremendous treats images look pretty cute too, so far! I bought Tiny Treats when it was released because it was so adorable, but I LOVE that it is now super sized! Definitely have to have it! The snowman holding a cup of cocoa is adorable. And the introduction of Tremendous Treats (love the name by the way) is genius! You definitely gave us lots of things to be excited about today! The snowman is so cute, and I love the larger versions of Tiny Treats. With this prize package, it would be so hard to decide what to play with first. Enjoyed all of your wonderful samples. They are super. I love snowmen and snowflakes. Thanks for sharing. The snowman!!!! The santa clause!! I really can’t wait to see that stamp set! LOVING those snowmen and the super sized version of the Tiny Treats! How cute is that penguin? Can wait to see what you have up your sleeve tomorrow. I love all the snowmen! Love the stackable mats! The new releases always inspire me to get creative! Your matching die and stamps sets are absolutely the best. The snowman die is to die for!!! I can see myself using it to make felt snowman ornaments. Thanks for your inspiration and a chance to win. The Shape Up Series Snowman set is too cute for words. Love the Layerz Mat Stack 3 collection as well! Yay! My favorite Mat Stack in a larger size! Thank you! And love the larger Tiny Treats! These are absolutely adorable projects!! Love the snowman die and stamp set. The tiny treats images when supersized are even cuter! And the mat stack 3 Layerz and Mega are wonderful. Oh, gosh…there goes the budget! So excited for the larger size Tiny Treats images–they ARE tremendous! I also would love to win this package because I don’t have Mat Stack 3 yet, and I’ve been wanting it. Thanks for the chance to win! As always, I love your projects! I love snowmen! The Snowman is one of my very favorite movies to watch every year! The music is so amazing! And so are your projects! Cute! Cute! Cute! That felt snowman is adorable! I love the snow man! I can just seem him with different patterned hats and different ribbon scarfs…so cute! I am in love with that snowman!!! I love the shaped card, the felt snowman, and the snowman as a focal image on the card you provided as a sample. His accessories are really fun too! They are all so gorgeous, could not possibly pick a favorite…snowmen are so cool to work with, and of course your very pretty papers. Just love your snowman sippin his hot chocolate, so cute. Love Heather’s new sets, love Dawn’s new sets, love Melissa’s..well do I have to go on? I think you get the picture! FABULOUS projects, Nichole!!! I especially LOVE all of the super cute snowmen you created!!!! I’m loving the dies that you are making that accompany the sets! I’m starting to do more sewing little homemade gifts for my new niece so having these dies and your felt makes for some really cute projects! I love the large tiny treats images. They are a must have for me. I also love the snowman large mat stack 3 dies. Thanks for sharing these gorgeous projects! I LOVE Tremendous Treats: Christmas!! Can’t wait to get my hands on that set. Wow! That’s all I can say…just wow! You are SO incredibly clever! I love every single card, but the last one (snowman with cup) just melts my heart. I am impressed, as always, and can’t wait to see more! I am really loving the snowman die set! I love when I can find a large die that will work for fabric projects to cut a shape as well as using it to create a card base or just a die cut shape for layouts! You had me at tiny treats. Love! Love all the new goodies….I adore snowmen! The snowman die looks like *so* much fun, and I can see so many endless possibilities with it!! I love the Tremendous Treats – I don’t have the mini version yet, but I think these would make such sweet cards for my two little ones! Well, once again you’ve just blown me away with the cuteness!!! I want it all! wow. lovely, just lovely. such gorgeous new sets. i must have them. LOVE IT ALL!!! I am thinking of so many *cute* girl scout and class projects that could be created with the snowman!!! and the mat stack additions and super fun and useful too!! Something for everyone this month. Love those super-sized images from Tiny Treats but that snowman card is so cute. Unfortunately no winter Christmas here, otherwise it would be going in my cart! I am so excited that you are up-sizing some of the adorable stamp sets you have done in the past! Love the new snowman shape-up too- so many fun things can be done with it! Yay!!! I’m so glad we have a mega stack 3!!! Love what I see so far this month. The snowman is to die for! He He He. Ok, I am totally in love with this A2 sized snowman die and tickled to death over the enlargement of the Christmas Tiny Treats! Thank you so much for the chance to win! Oh my gosh, snowmen are my favorite things during Christmas. I could create for days with these!!! Love, love , love the addition of to mat stack 3! The details are amazing on the snowman dies, you have thought of everything. Thanks so much for the chance to win!! well, the enlarged tiny treats caught my eye! I have been loving the tiny treats all year and finally bought it last month (HA! Wouldn’t that be funny to win another!) I just love that stamp set! LOVE!!! Very excited for the tremendous treats series, and I adore snowmen so my head is whirling with all the fun things I can do with the large shape-up snowman. Really looking forward to this month’s release!! Snowmen melt my heart no matter what shape, size, or style. I can’t wait to get my hands on these items. Thank you for the opportunity to win them! Wonderful projects as always. I love being able to do more layering with the mat stacks. I just love snowmen! It might be weird since I live in a place where it doesn’t snow. The layerz mat stack 3 is a MUST HAVE! That is the mat stack die that I use the most! Thanks for a great release! SUPER CUTE! there is so much creativity here! you guys rock! Every month I can´t wait for your new products. And every time I´m amazed how great they are. I’m a big fan of Tiny Treats Christmas – so I´m happy to see them grown up. Thank you for your great ideas!!! I LOVE, LOVE, LOVE the Snowman!! He’s so cute and versatile. Mat Stack 3 is my favorite one so I’m really happy to see the addition of dies!! Ahhh… the shape up snowman is darling.. on his own or on a card!! Love the larger images… so fun!!! I just love the felt snowman… and am completely giddy over Tremendous Treats: Christmas! I can’t wait to start creating for one of my favorite holidays…PTI style! I really love the larger sized images on the Tremendous Treats stamp set. So cute and versatile. That said, all the sets and dies you introduced look so amazing. I need to get another job to pay for all of this! Oh my I can’t wait!! I love the big tiny treats Christmas. I used that set for all of my christmas cards and thank you’s. I also love snowman, so that die and set won me over!!! OMGosh….I MUST have the snowman die…LOVE IT!!!! Love the cute card w/banner that you made!!! Looks like another amazing release!! I love the snowman, as I am partial to them..lol….also love how you put the seasonal out in plenty of time to be ordered and used for the season…lovely projects!! All snowman’s cards are amazing. Love PTInk Dies! It just can’t get any better! This is so cute!!! LOVE the snowmen! It’s beginning to look a lot like Christmas! Except that here in Hawaii, it just means rain! Lovin’ that supersized penguin! Your snowmen/snowladies are so darn cute!!! Great new projects! The layerz mats are a nice addition to the original dies. I collect snowmen – I think my little snowy folk numbered 86 at last count! This stamp set and die just has to come and live at my house. Alot of people think I am nuts as it is summer in new Zealand at Christmas but I don’t care – snowmen all the way for me. Love that Santa, so cute! I love that snowman! It will make such cute gift tags for Christmas! I’m absolutely loving the Tremendous treats: Christmas (so many fun and larger images),and the mat stack and snowman dies: they will be fun to use on so many things!!! 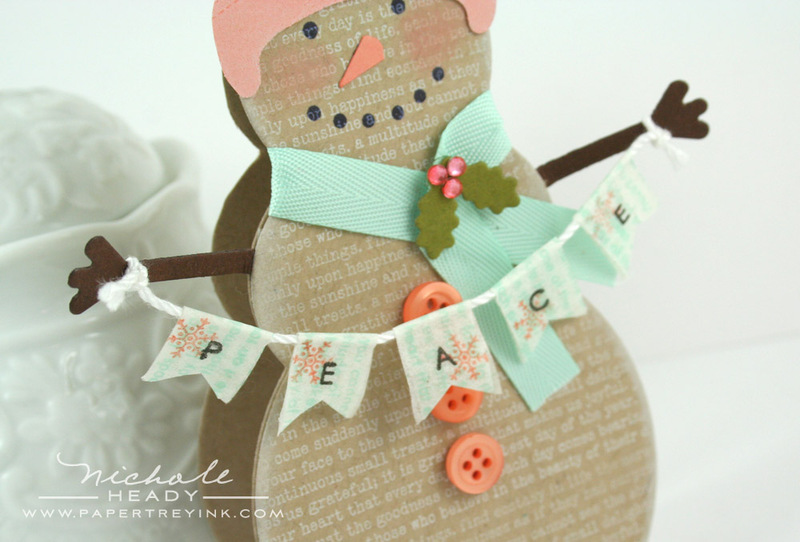 Oh my I am in love with Papertrey’s snowpeople! I could see making a whole snowman family, ornaments, tags for packages etc! What fun! What great new products – love the larger mat stacks that are coming out each month! Oh the versatility! And tremendous treats christmas! Wow! Nichole your cards are truly inspiring as usual! Love the last one where the snowman is holding the cup of cocoa or coffee! It is my favorite! The large tiny treats is an answer to my stamping prayers. I love the snowman. All of the projects are great. I need to put on some Christmas music and get started on Christmas cards. What a fun way to start the countdown this month! I absolutely adore that last card with the Faux ribbon stamped all over the Shape Up Series: Snowman! That cute little coffee mug he is holding is so precious. I am loving the addition of the layerz and Mega version of the Mat Stacks as well! Oh my, Oh my, Oh my! I can’t wait to get my hands on those supersized Tiny Treats Christmas stamps and the layerz mat stack 3 die!!! Snowmen are my favorite symbol of winter. Those cute felt smowmen are adorable! Love it all! Oh what festive fun! The creative possibilites of the snowman die are endless! Love the stamps, papers, colors, dies and I like them too!! I love everything so far! Such cute projects, Nichole! Oh my goodness! I’m even more excited for the holidays now!!! 🙂 Thank you SO much for making big “tiny treats” images! I have always wished for mega-sizes of these! The little birthday animals and plane would be the next on my wishlist! I LOVE the snowman die collection!!! It is so adorable! I am loving the Mat Stacks, too! Great projects to go with this release! You had me with the first snowman card. LOVE the large die. (I must admit that I can’t have all of your stamps and dies, much as I would like to, but I love that your dies can be used for many things, including cards, without the matching stamp set. (I use the dies for fabric applique on fabric post cards, felt pins, tree ornaments, pincushions and other crafts.) You folks just have the BEST designs! I was ready to live without the ‘Tremendous Treats’ set until you mentioned how well they worked with the large snowman, and those wonderful backgrounds you stamped. The snowman birthday card ‘sleighs’ me, and my holiday season birthday cards will take on a whole new shape this year. Once again, you have offered us Tremendous Treats – Christmas! Thanks! Love the happy, homespun feel to all of the introductions today! And that snowman holding his cup of cocoa… it just made me smile from ear to ear. Looking forward to all of the rest of this release! Love the snowman card die. It has so many uses other than cards. Just adorable! I’ve always had a warm spot for snowman. I especially love the felt little guy! That snowman is just so adorable and perfect for getting the kids involved in some festive crafting! The snowman and Tremendous Treats are just darling! It’s going to be another great month of holiday inspiration. Oh my word…I love the snowman…and the Tremendous Treats set will be a definite must have. So many great projects today. Thanks for the inspiration. WOW!! Have to be honest… when I first saw the previews for Tremendous Treats, I wasn’t sure to put it on my wishlist, but……….. after seeing all those wonderfull created items I just have to have them! *lol* Love them!! And I also love the snowman…wow!! Great tremendous treats for us as well…thanks! OH, my goodness!!! What wonderful Christmas and winter things you’ve come up with. But I’m not surprised. You never cease to amaze me! Thanks for the chance to win! I’m so excited for the Layerz Mat Stack 3 and for the snowman die… love them! And that penguin… so lovely! TFS! The snowman die and accessories are darling. Just too cute. Must have items for me! Your projects are adorable, as always. Thanks for the inspiration. The Snowman die with accessories is just AWESOME! 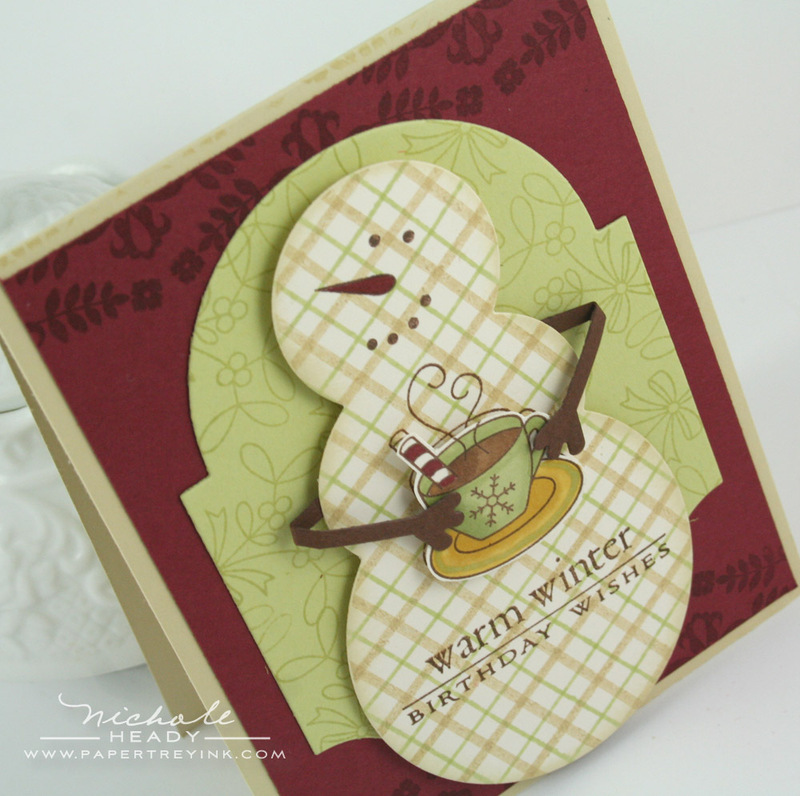 I especially love the cute plaid snowman card – just adorable! I can’t wait to get the Tremendous treats set too! How absolutely daring! (And by the way, thank you for the sweet video!) I have been waiting for the Mat Stack 3 Layerz and now it’s like Christmas in October! Of course I love everything but I love the snowmen! These are amazing projects…that snowman die is adorable, and so amazing! Everything is so beautiful. I love all the projects. I wish I had all of the new products. Love,love, love the snowman die!! Can’t wait to get creating with it! As always your inspiration is amazing! Would absolutely love to win this package! Thanks for the chance! I’m loving the TIny Treats in mega size! And the snowman with the cup is great. Thanks for the chance to win! I LOVE,LOVE,LOVE these new stamps and dies!!! The mat stack 3 is awesome. I want them all. Love the snowman die. SO super cute. I adore the ornament you made in this project. Just stunning. OH MY!!!! I love them all! Keep them ideas coming and Thank You for sharing with us all!!!! 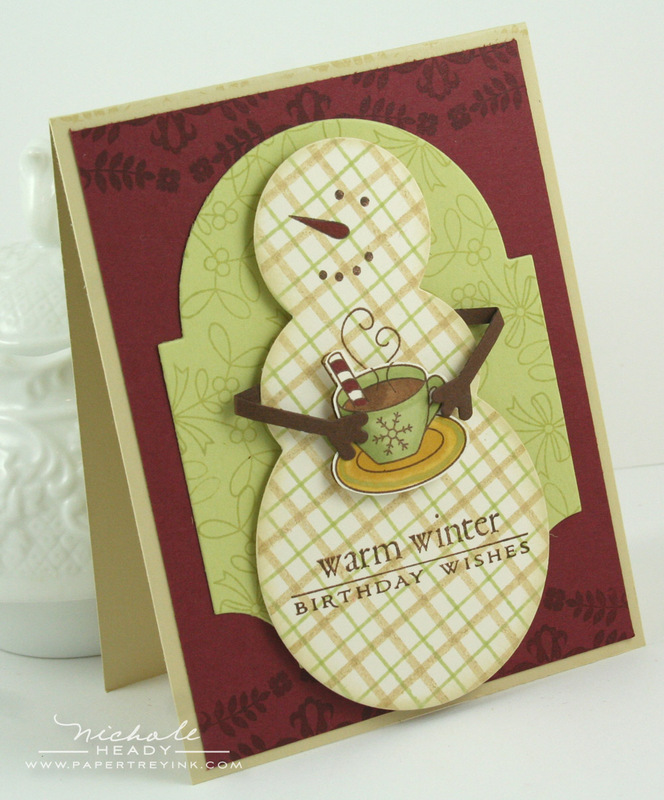 My favorite project so far is the Warm Birthday Wishes Snowman card! I love snowmen and I have been hoping for a snowman die for so long! Thank you all so much for all the beautiful projects. I am so excited to see the rest! Well I totally love Tiny Treat Christmas and making them bigger can only make them better! Love the Mega mat stack 3 so classy and the snowman well you can’t beat that for fun! Tremendous Treats: Christmas has my daughter (she’s 8) and I so excited! 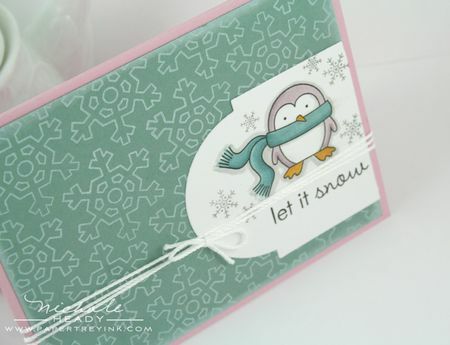 I love how you paired the stamps up with the Snowman die and the Layerz Mat Stack die, too. Very excited about this release. Oh my, I just love the up sized tiny treats! When my mom first told me they were scaling up my favorite tiny treats, I wasn’t too interested. Until I saw the penguin card…. It is SO stinking’ adorable!! What a cute little Santa. I love the patterned snowman as well. 🙂 Feeling excited about Christmas! I absolutely love Tremendous Treats! Yeah!! Can’t wait to order it. The layerz mat stack 3 is perfect. Another must-have! What could be more fun than sending out a snow man card? I love it! Wow, I love that snowman and all of the enlarged images! Not to mention loving the larger mat stack dies – that one is my fav. I love the Tiny Treats, so it is no surprise that the Tremendous Treats is also a favorite! Wow, can hardly wait! Snowmen are one of my favorite winter images, so I really liked the projects today! Wow, so CUTE! Even though we celebrate our Christmas in the summer, I do so like these snowmen! Maybe I could make sunbathing snowmen! This is going on my wish list. I love the tremendous treats set. I use my tiny treats set to make such cute tags, now can use the larger images for cards. Cannot wait to see more. So happy to hear that tiny treats are coming in a bigger size. They are such sweet treats. I simply adore the snowman. Wonderful preview, as always. I love everything you have shown for Day 1…great inspiration. My absolute favorite was the last card using the Shape Up Snowman. The cup of cocoa is just perfect!!! The matching dies just bring a whole new dimension (literally!) to PTI crafting — how fun would the snowman be for a children’s craft around the holidays? love the snowman holding the hot chocolate! I love it all! The Snowman is such fun to imagine all the cute scenes I could create, and the Tremendous Treats are just so perfect for so many things. I love the larger size. This is going to be a great release! Thanks for the chance to win! Love the larger version of Tiny Treats. PTI does it once again! I collect snowmen to decorate at Christmas with along with a smaller collection of Santas. Christmas is my favorite holdiay and I love the new Snowman die and the Santa. I just bought the tiny treats Christmas which just came today. I love the snowman die set. The card cut with the die is adorable. I will have to have the layerz mat stack 3 also. I can’t wait for the release!! can’t wait for the not so tiny treats! That Santa card is too cute! Can’t wait to make one myself! Especially loved the color choices! I love the plaid snowman! So cute! I don’t love snow, but since we have so much of it, a snowman is the perfect way to use up that snow. Thanks for the great new products. Can’t wait to see what else is in store for us this month! I love the Tremendous Treats and the snowman- too cute! I’m looking forward to seeing more from this release! Adorable snowman die and so versatile too! I cannot wait to get my hands on that snowman die! It is to die for! All of your projects are really cute. Love the snowman die and stamps! What a great way to start celebrating the season! I absolutely must have it all! Your cards and ornament are incredible and I am feeling so inspired. I cannot wait to see what else this release has in store for us. I purchased the Layerz mat stack last month and I am really enjoying using it, so the Layerz mat stack 3 caught my eye right away. But let’s all be honest, the snowman and that adooooorable penguin from Tremendous Treats completely stole the show. They are the cutest things ever! OMG, the snowman die is soo cute! I need it! The snowman die is FANTASTIC – I can’t wait!!!!! ….. and so glad you enlarged the Christmas Tiny Treats!!! I have used the Tiny Treats a LOT – will be fun to use the larger images!!!! LOVE it all!!!! That new snowman is going to be so much fun to play with. Just love snowmen!! all your projects are awesome! Can’t wait for this release. Thanks for a chance to win. How adorable is that plaid snowman??? I am so excited about the penguin too!!! Can’t wait to play! 4 simple words….. I gotta have it!!! SO CUTE!!! I would love to win these stamps and dies! Of course the die cuts are a favorite! Love everyone’s cards and projects, it’s so fun to start thinking about Christmas cards and decorating possibilities. The snowman die is so cool! Terrific selection of dies. Very excited about this release and all of its Christmas goodness. These are all so great, especially the snowman die! I definitely need them all! Love the new mat stack – and the snowman! As usual, you are really motivating me to get stamping. Beautiful cards and projects, can’t wait to see what comes next! Yay for Tremendous Treats – the images are just too cute!! Gorgeous cards, Nichole and Team! The snowman is just too cute and I think the layering mats is a great idea. This is absolutely adorable! I have to have it~ the snowman is so cool! Incredible sets!! I have already blown my budget on the first sneak night!!! I love it! The snowman with the tea cup is ADORABLE!!!! I love the different sizes of the mat stack dies and the larger sized “treat” set is super cute. So many fun things! The snowman die collection is amazing!!! I love the larger dies, I have the onesie one and love it. Snowmen are my favourite, so this one is a must for me. That die and felt will make the cutest Christmas decorations. I love the snowman die in such a large size. I can already imagine using it on many different types of projects and on several different papers and fabrics. Awwww–such a cute set.Love the last card. Love the tremendous treats set and the cards you made with it. The snowman die is really cool too. Oh my goodness, the snowman is so stinking cute. I didn’t know I needed it until I saw the sneak peek today. The large tiny treats will be so much fun to use for making children’s Christmas cards. Lovin’ the large tiny treats! I also love the felt snowman. Will save me the trouble of trying to knit one! Love that snowman! And Mat Stack 3 is my fave, so have been waiting on this larger size! I am absolutely blown away with these. I love the way you used the snowman to make a birthday card. What great ideas PTI always gives us. Thanks. Love the snowman die and the mat stack dies. Can’t wait to get my eager, crafty hands on them!!! What a fantastic group of new products! Can’t wait for more. Oh my, that snowman builder die set is so fun and I adore the little felt and plaid snowmen! Fun, fun, fun!! Love the shape up snowman die. All the projects are amazing. Thanks for the opportunity to win. Larger tiny treats! And new mat stacks! Perfect! Love that little snow dude! I am in love with snowman! Adorable! Everything is fantastic!! I love the beautiful color combos you continue to come up with. I’m so excited to see the Tremendous Treats!!! I have a million ideas on how I would use them already!! i had already talked myself out of needing the snowman die until i saw the card with the snowman holding the cup of cocoa – it was all over then! mat stack 3 has been a fav of mine for a while, so i am loving the additional sizes. i also love tiny treats (do i see a trend here?!) and the larger sizes are a must have as well. another great month at pti! I love snowman and this one is so adorable!!! I cannot believe how cute that snowman is.!!! Nicole’s cards are adorable. Loving the new mat stack 3 and snowman dies. The new stamps are great also. Love the projects. One of my favs was the felt stitched snowman. The snowman series is adorable, so many possibilities and an absolute must have! GASP….. thud! That’s me falling off my chair at the sheer cuteness that going on with this release! Love, love, love the Tremendous Treats Christmas and the Snowman die is perfect. I love that snowman. He is so cute especially with his die cut accessories! Seriously…i don’t think the snowmen could be any cuter! Oh how cute the snowman die. I have always wanted the mat stack 3 die—now I MUST have it!!! Love,love, love the snowmen! Must have it! Love the snowman birthday card! He is way too cute! I’m super excited about the snowman die and coordinating stamps! I love the projects you and Betsey featured today with them and I’m imagining all sorts of possibilities to make myself. I love the Tremendous Treats set as well. I think the Christmas version of this series is my most favorite of all. So happy about the Mat Stack 3 die, too! PTI has really kicked my crafting projects up several notches, and I’m constantly amazed at how you’re able to keep coming up with new and exciting products! Keep it coming! The snowmen are so cute. Love your cards. How fun is everything shown today! The snowman is my favorite and I have several ideas flowing already! Wow!!! Love both the snowman and the Tremendous Treats! So many possibilities with the sets shown today. I love all things snowmen. Because I live in MN with winter being the longest season, I get lots of use out of my winter themed sets. Bring on the cute snowman/winter stuff. Fabulous! !